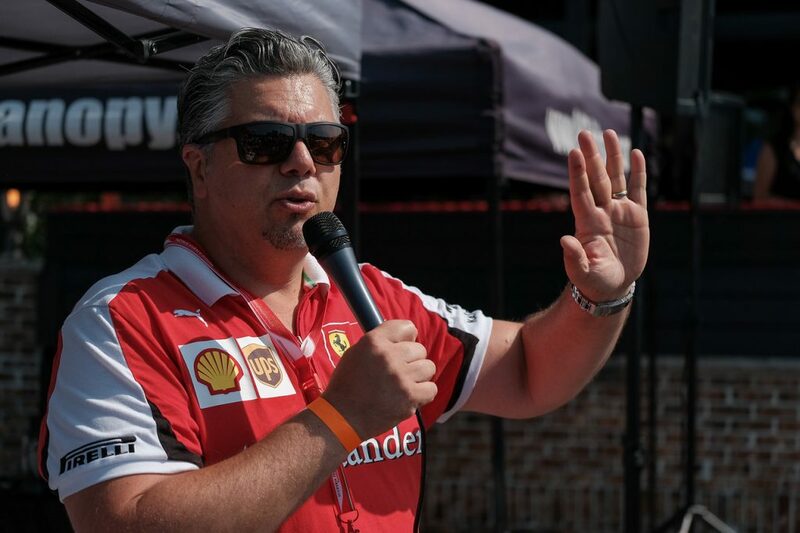 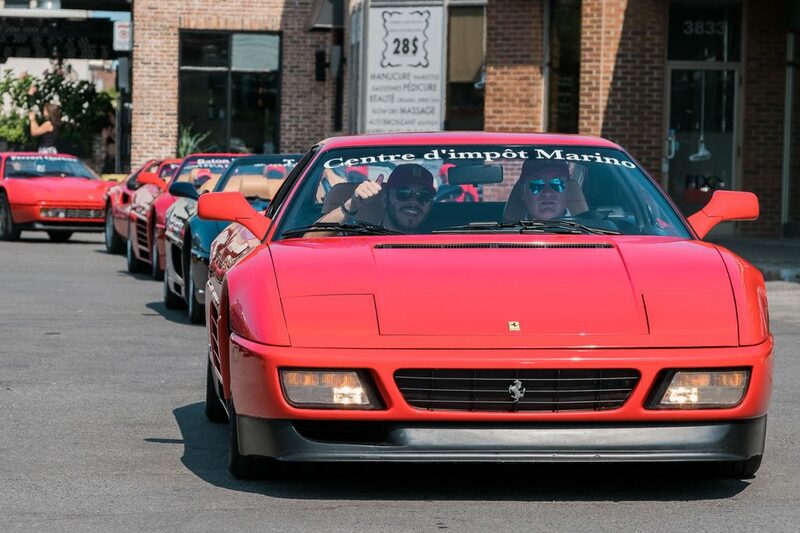 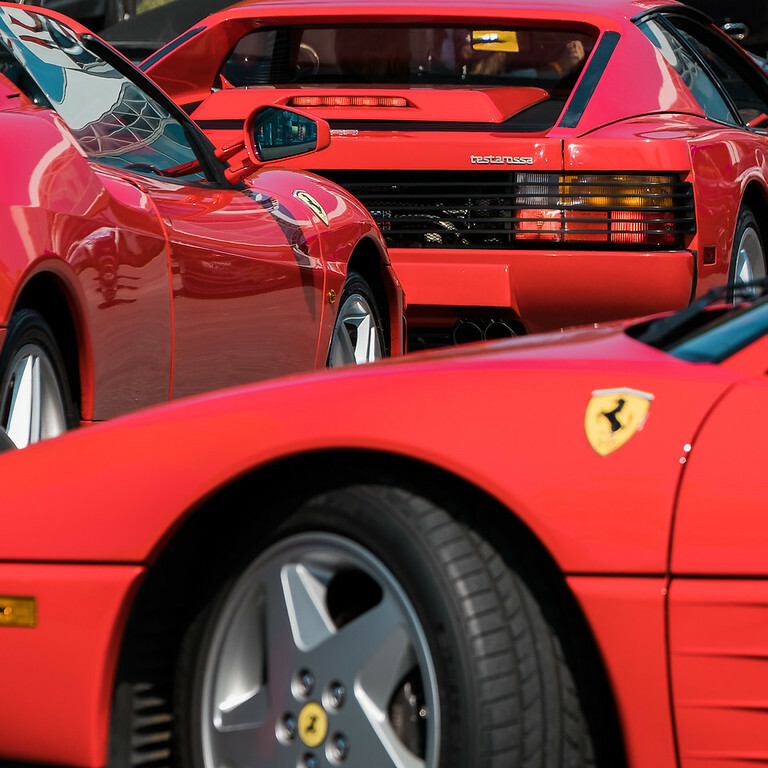 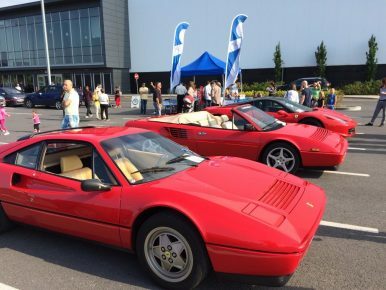 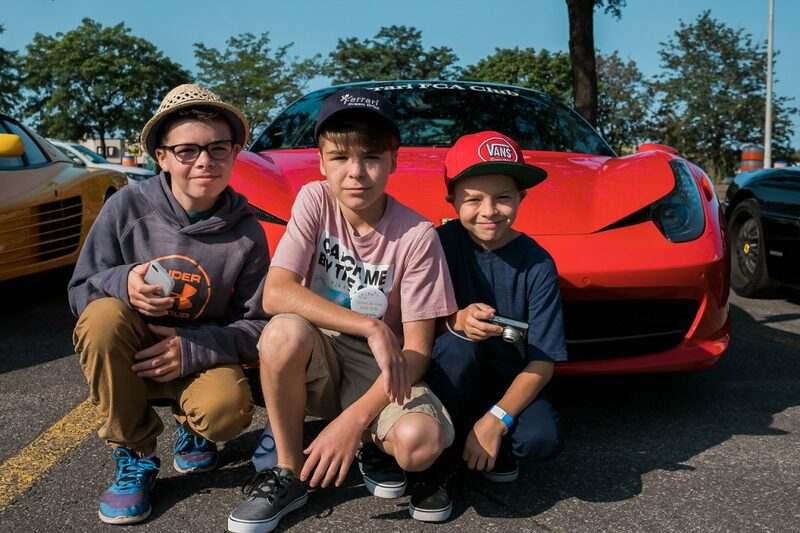 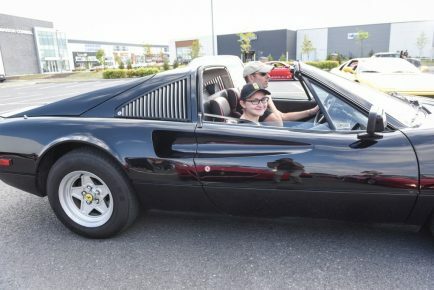 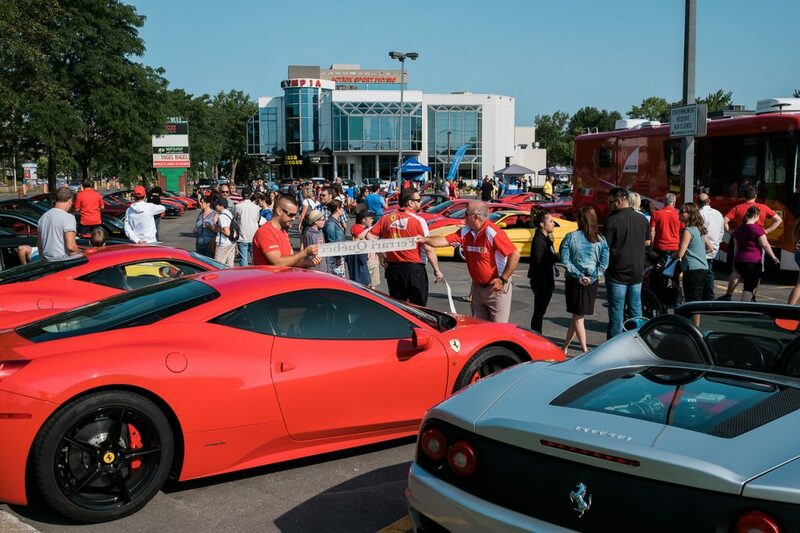 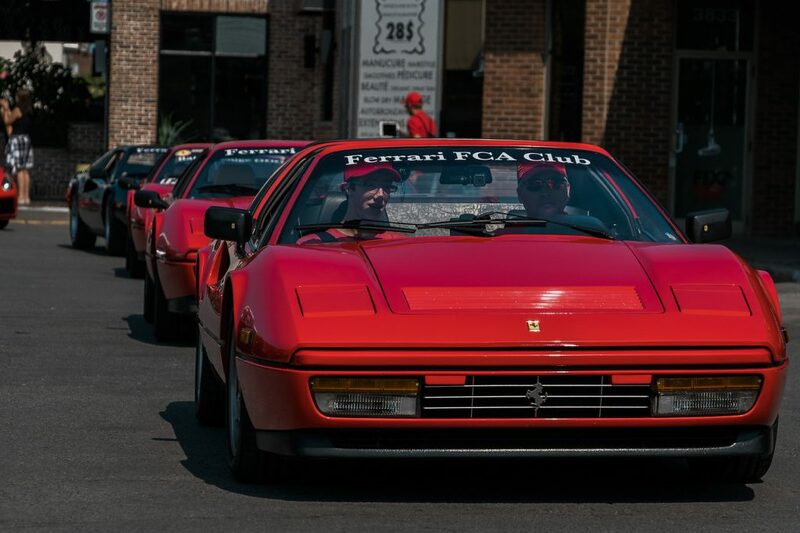 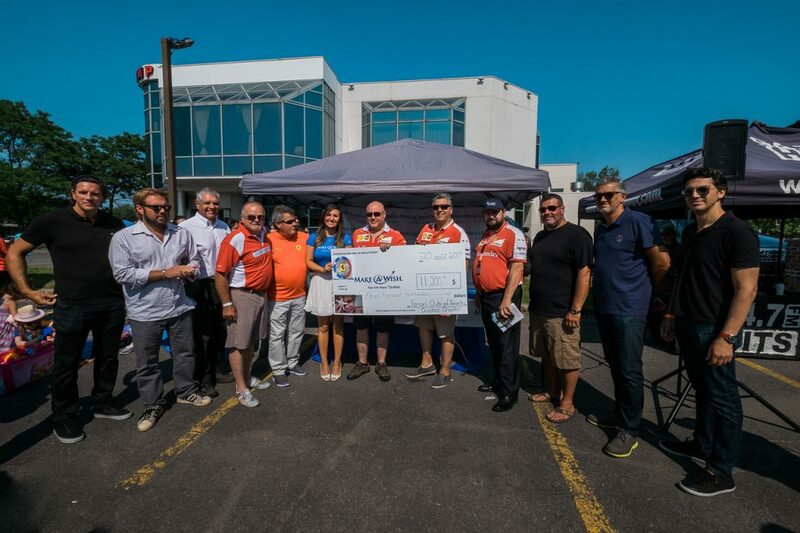 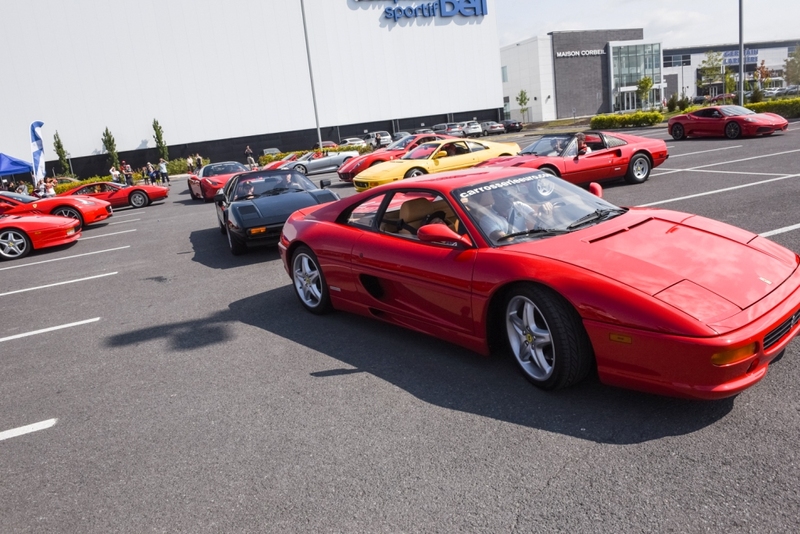 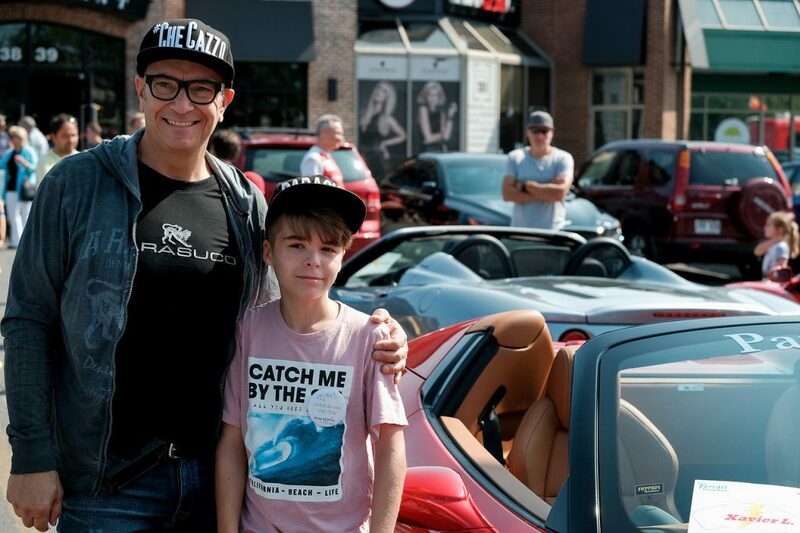 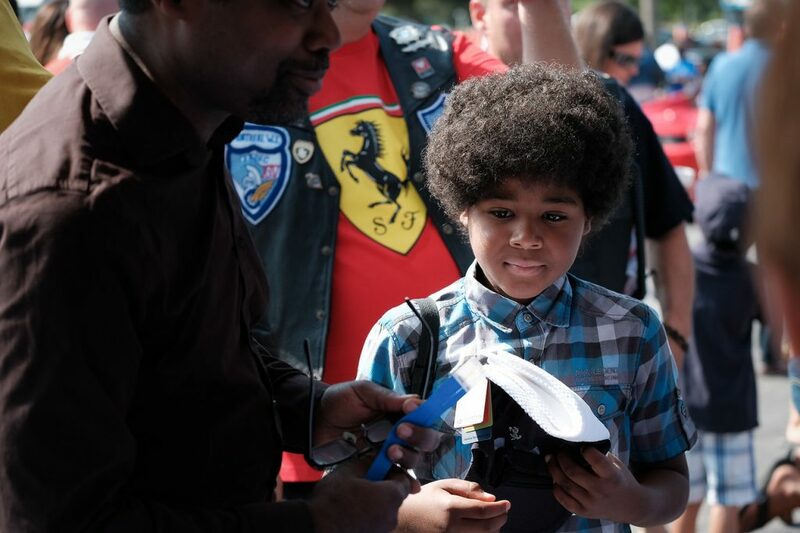 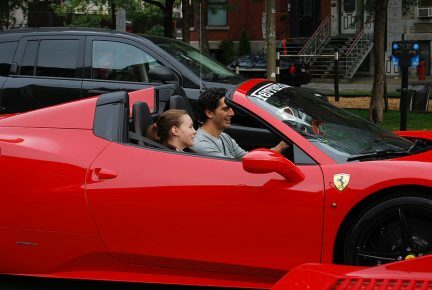 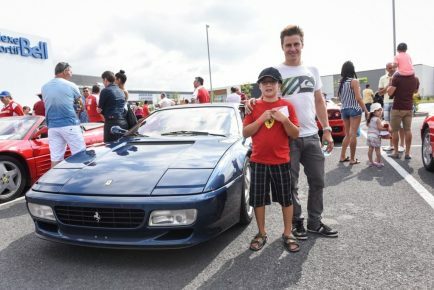 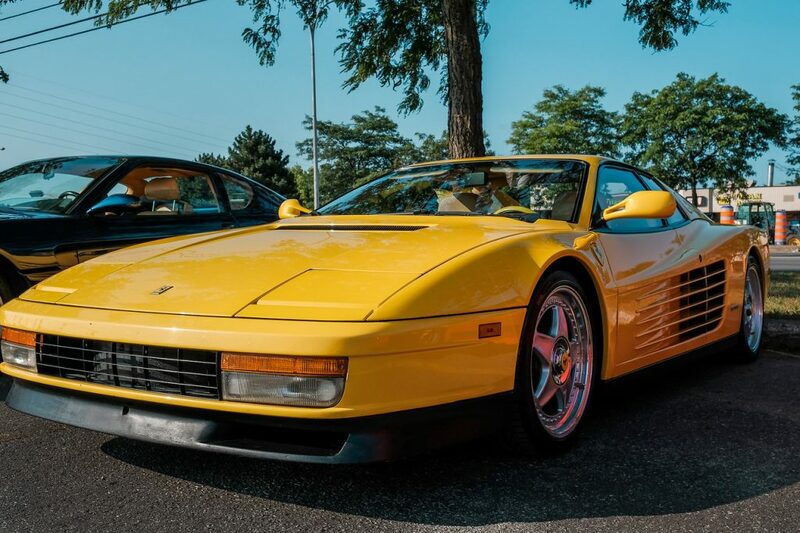 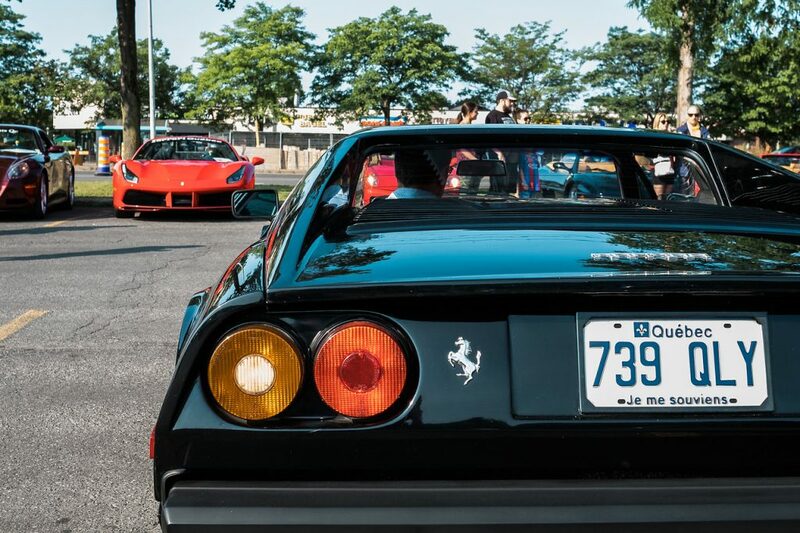 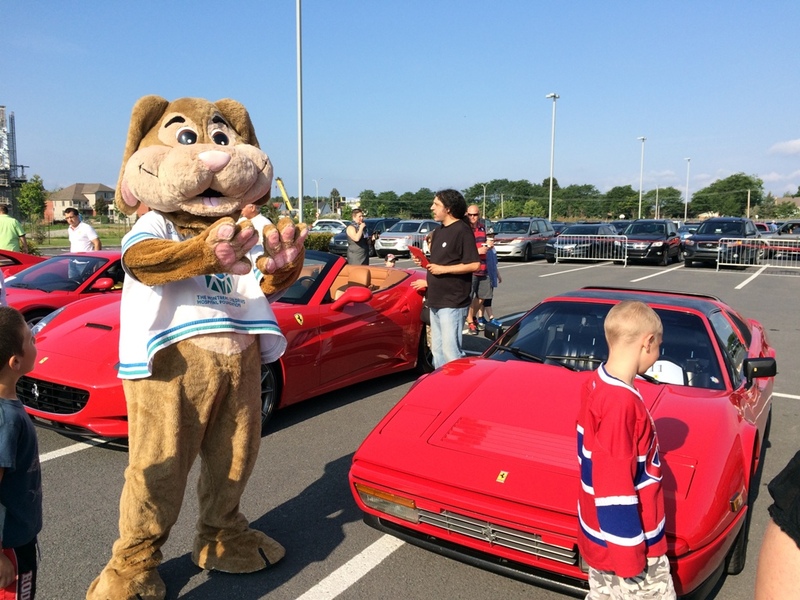 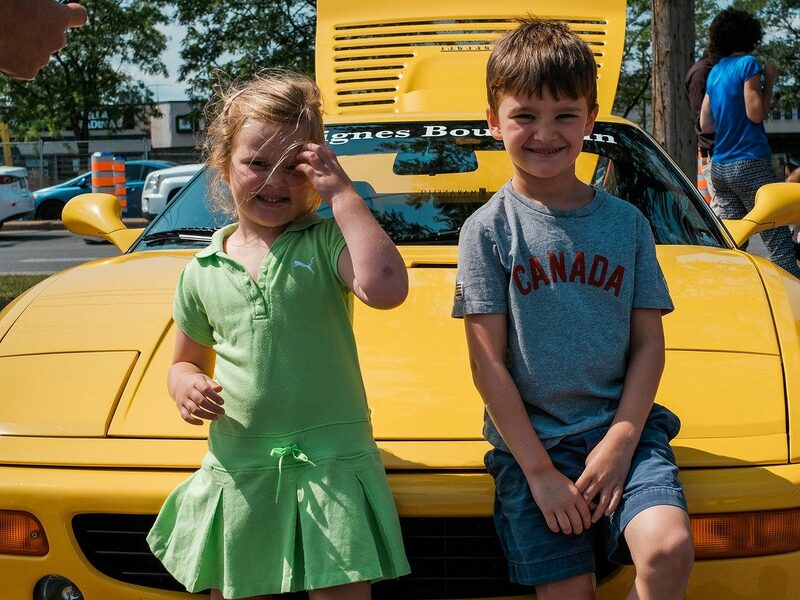 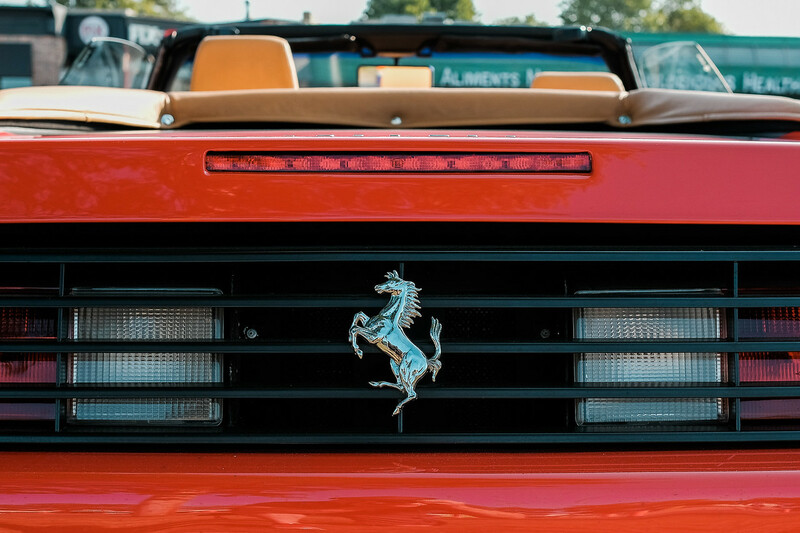 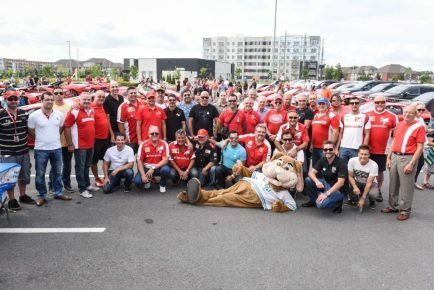 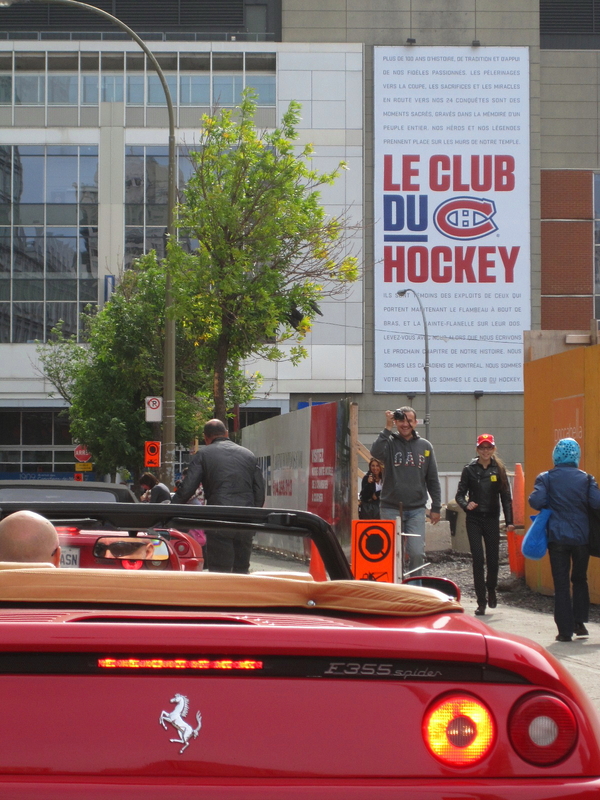 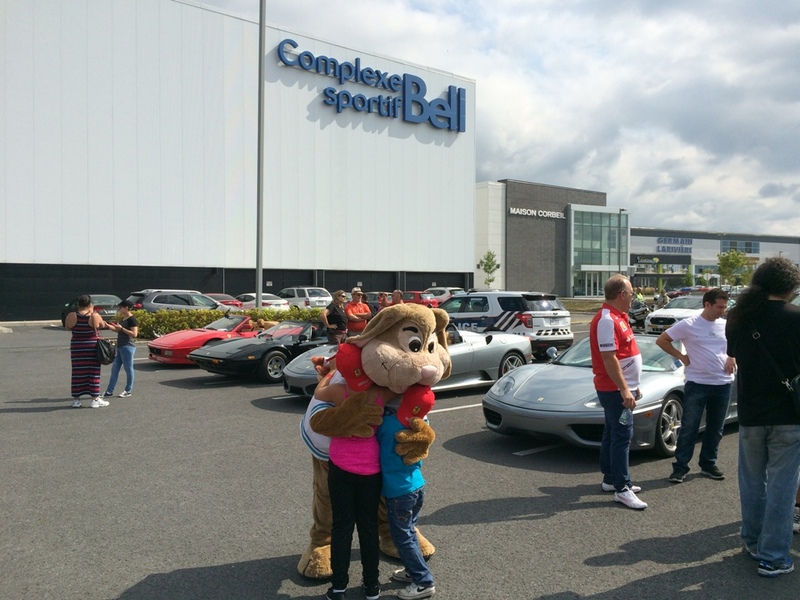 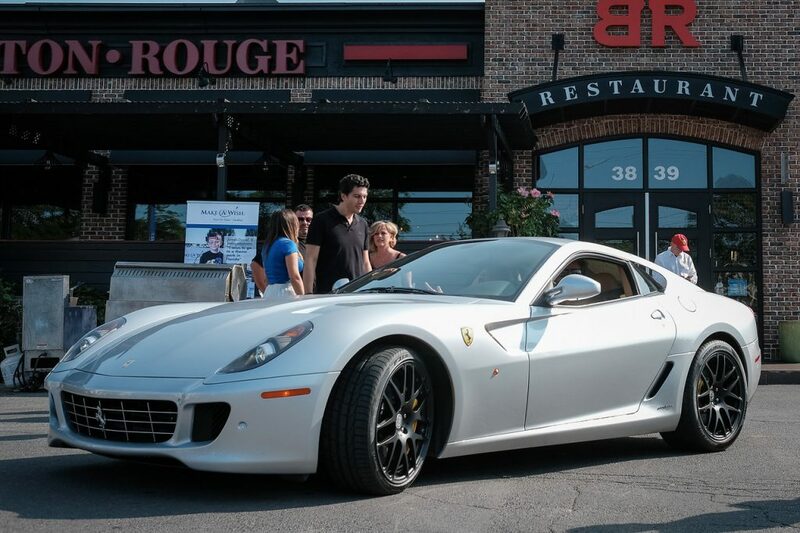 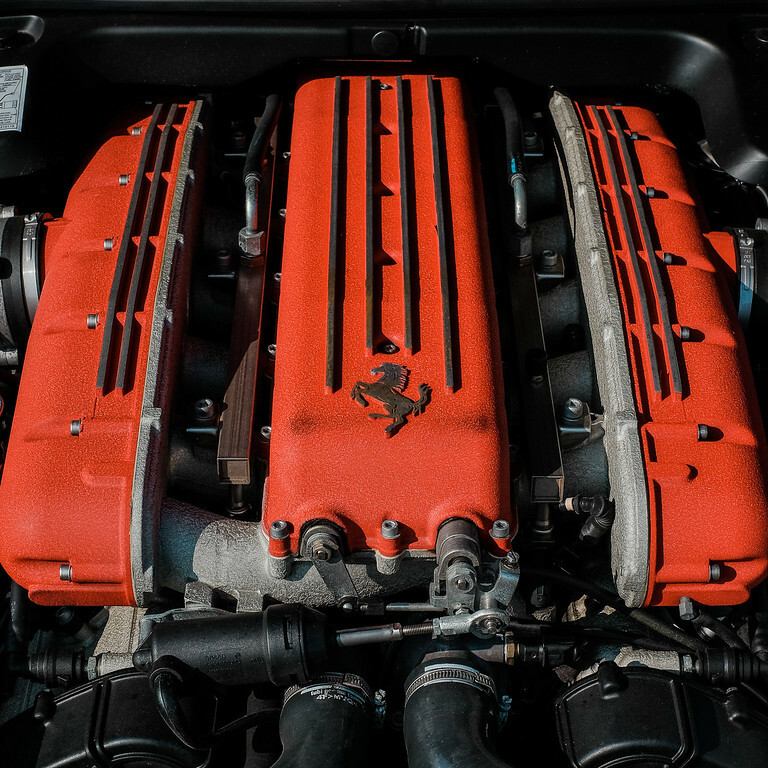 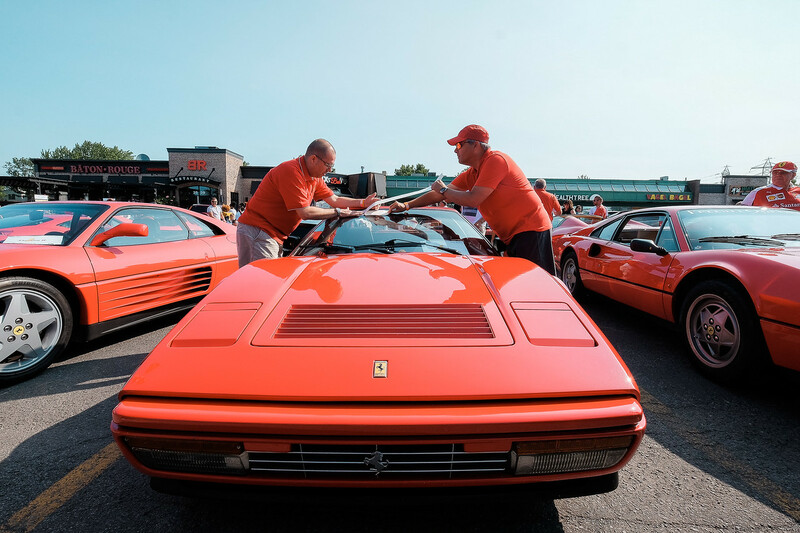 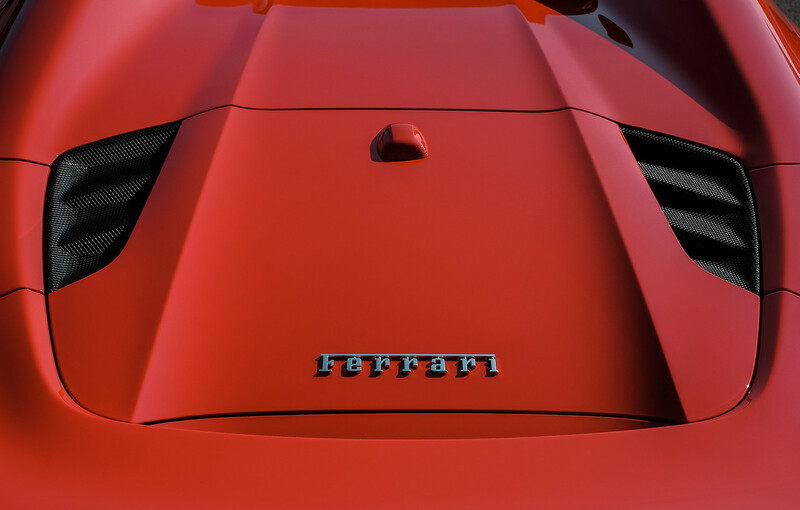 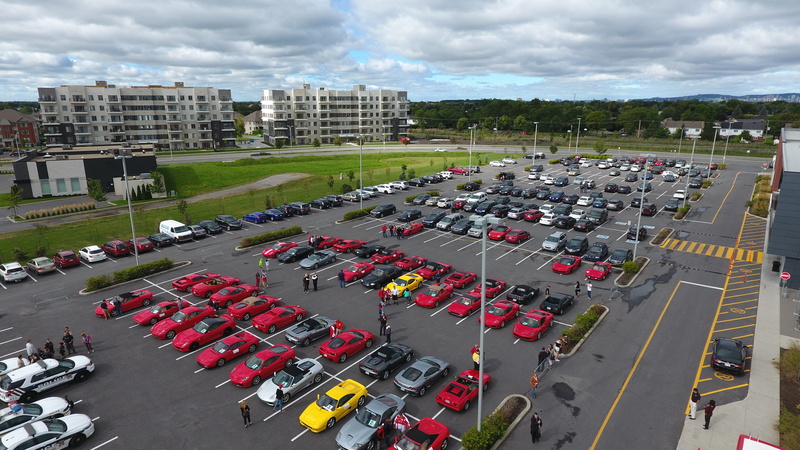 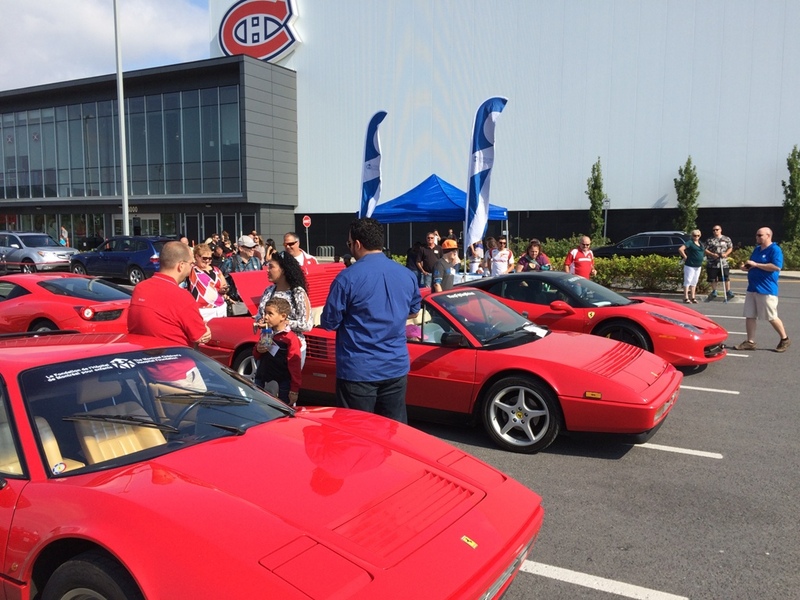 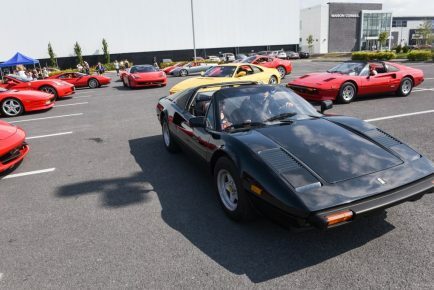 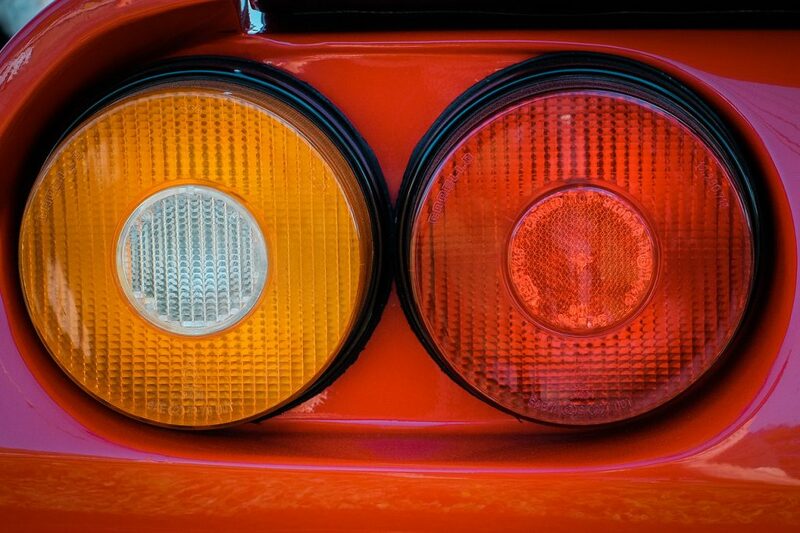 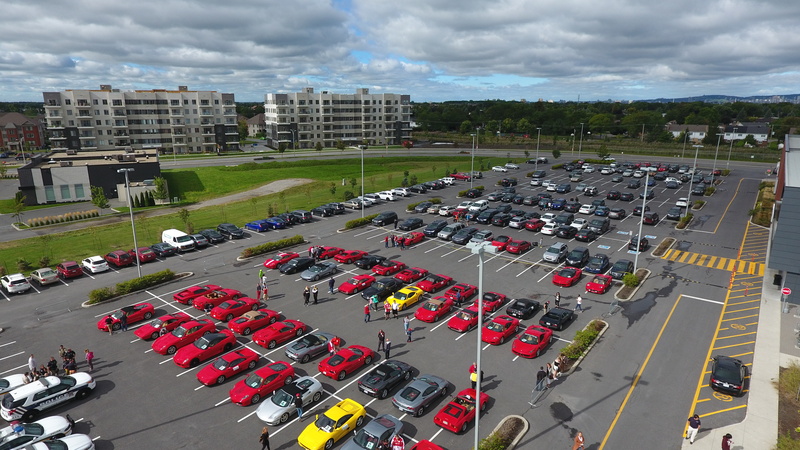 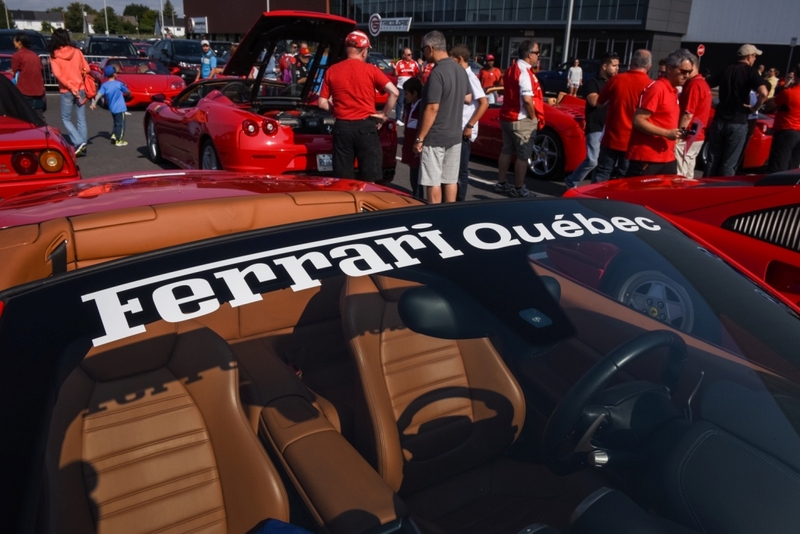 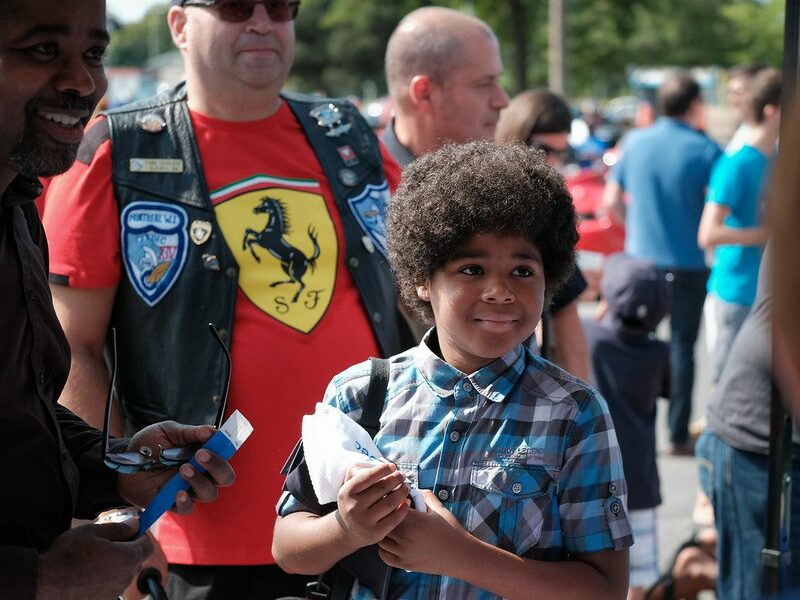 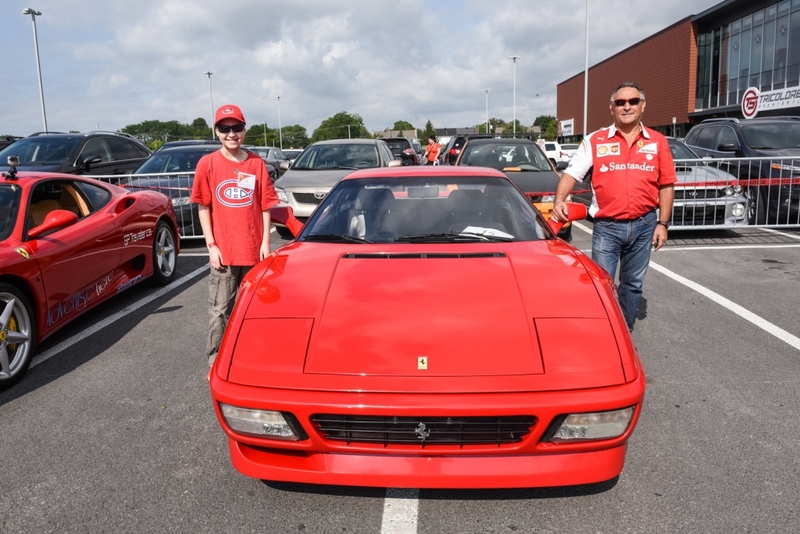 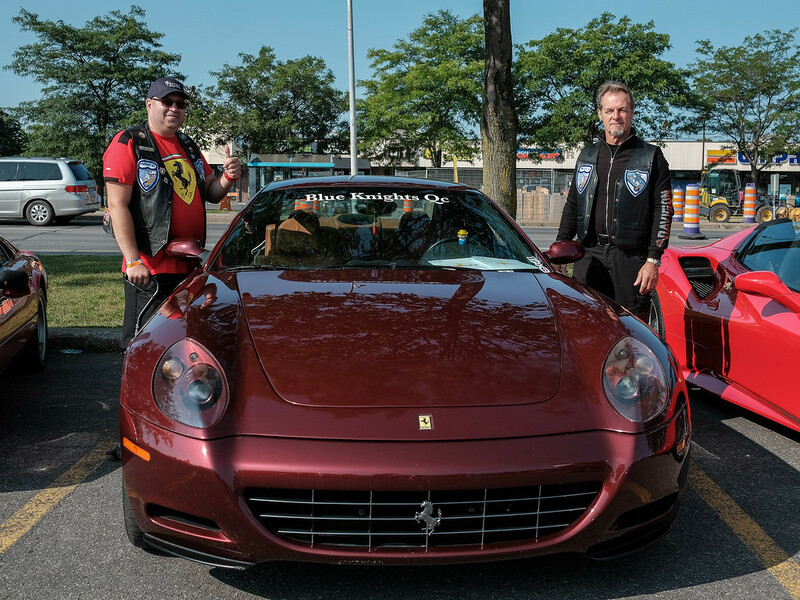 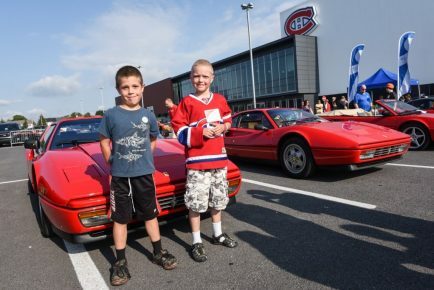 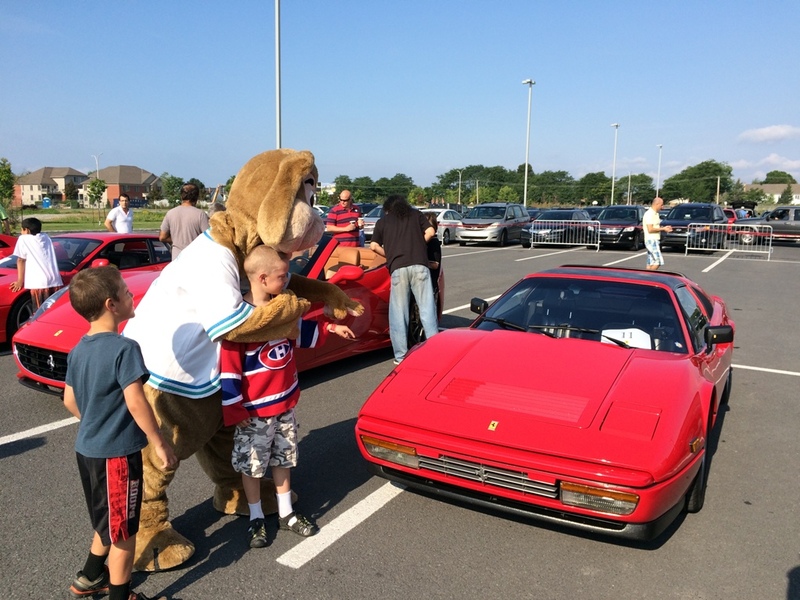 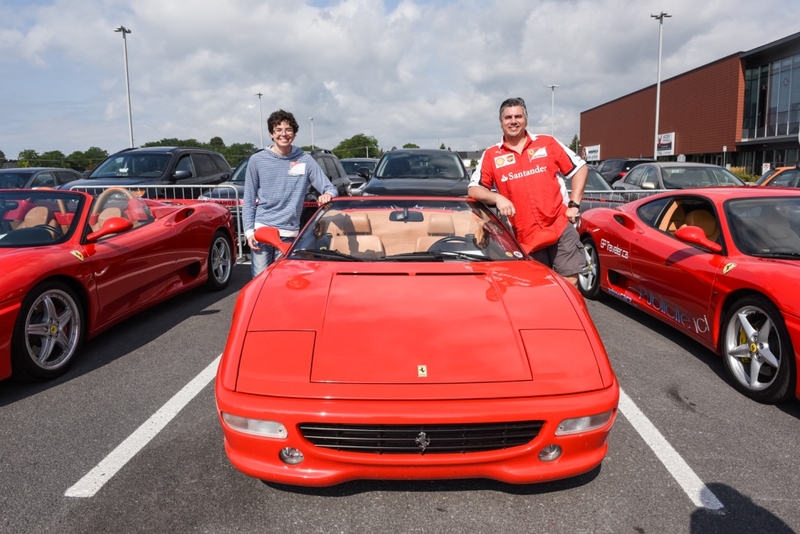 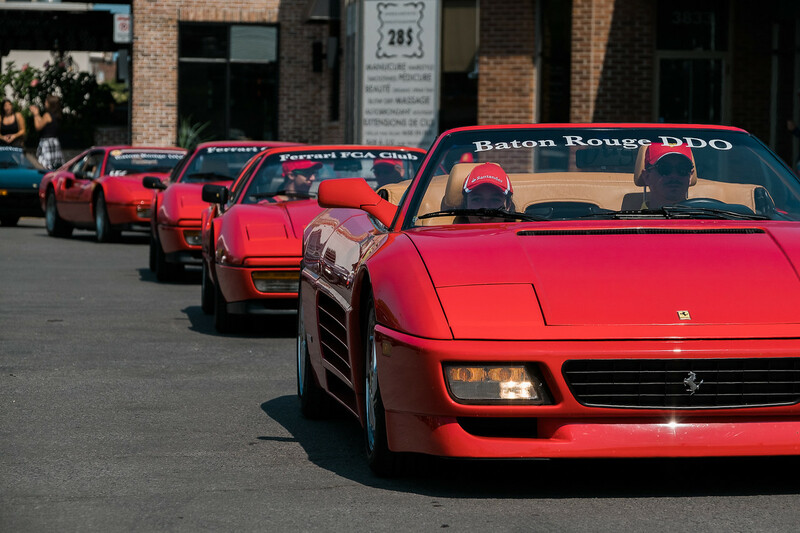 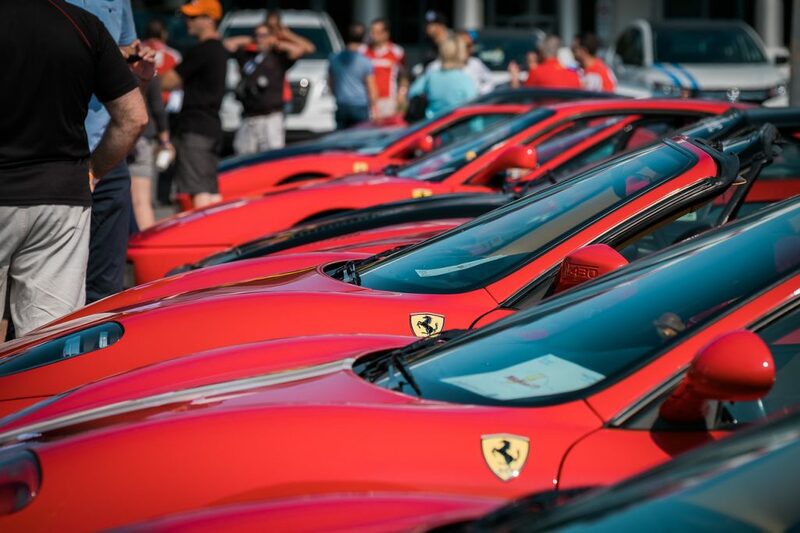 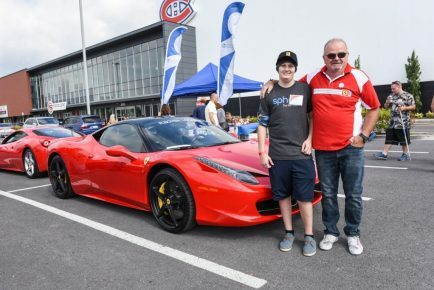 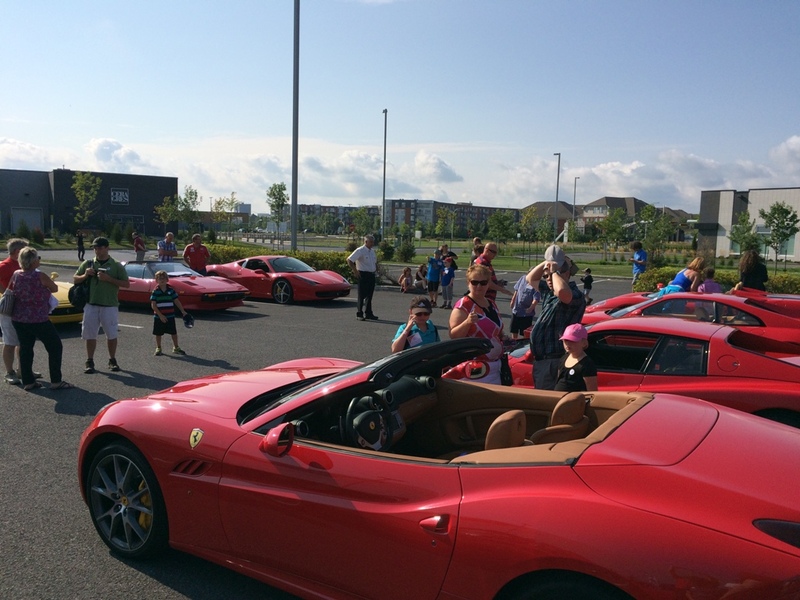 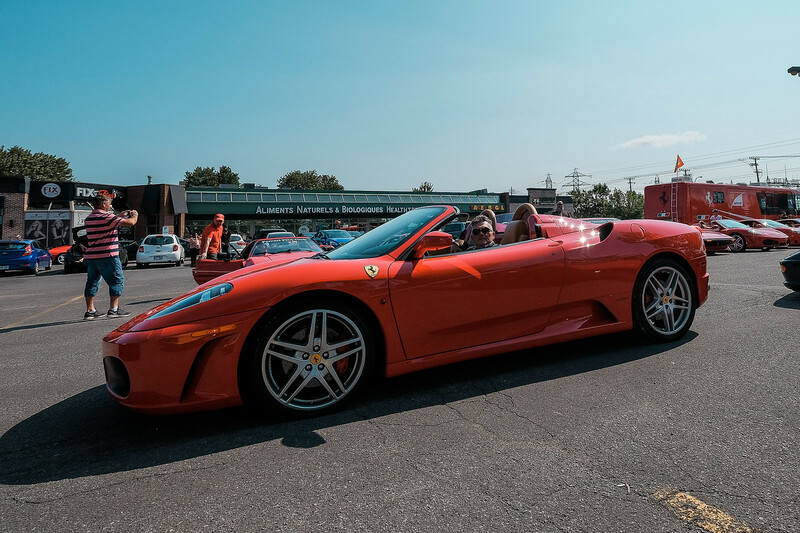 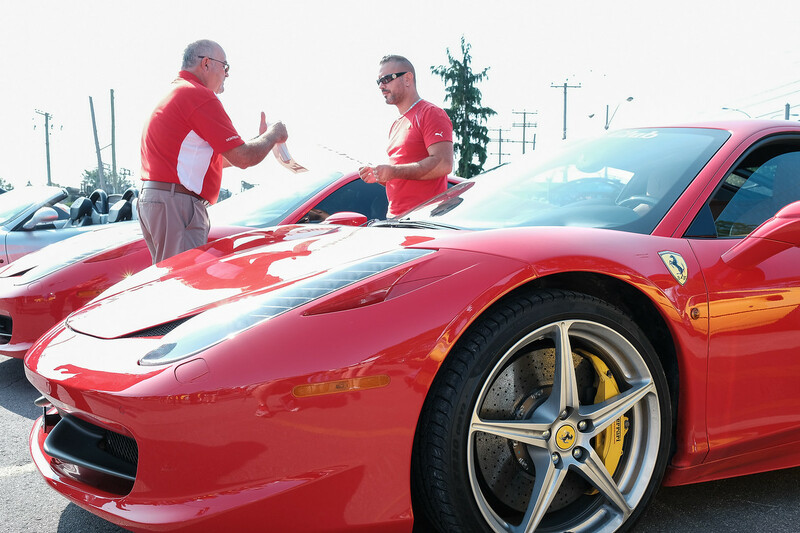 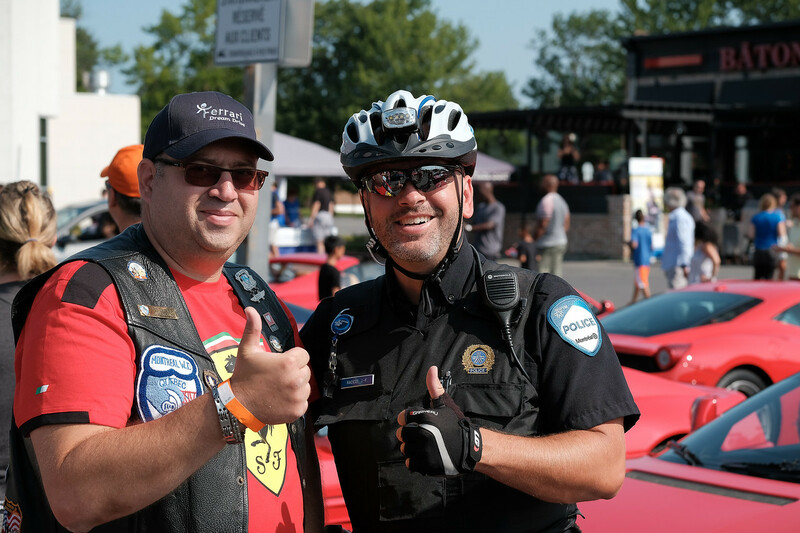 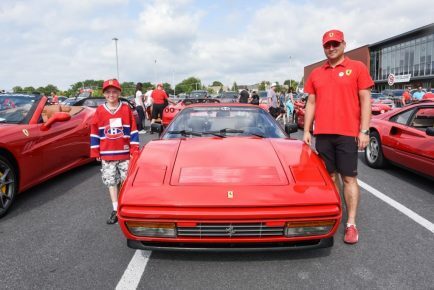 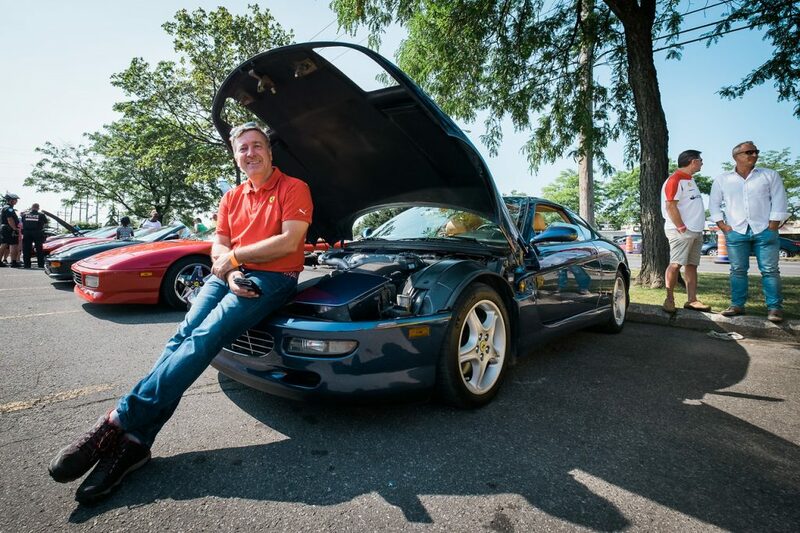 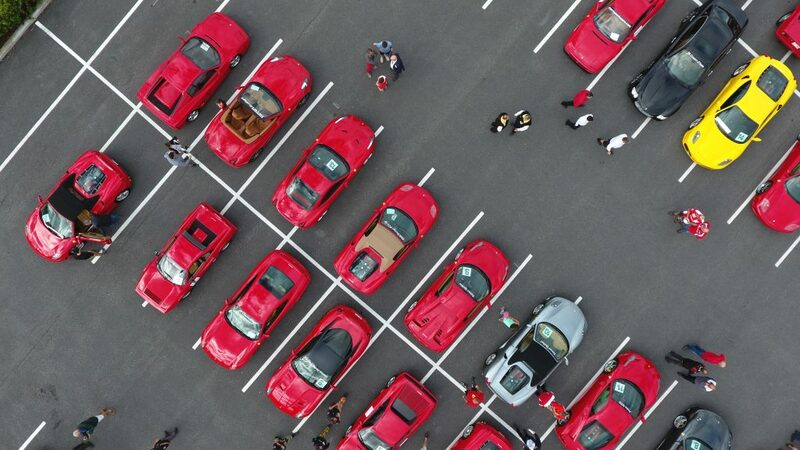 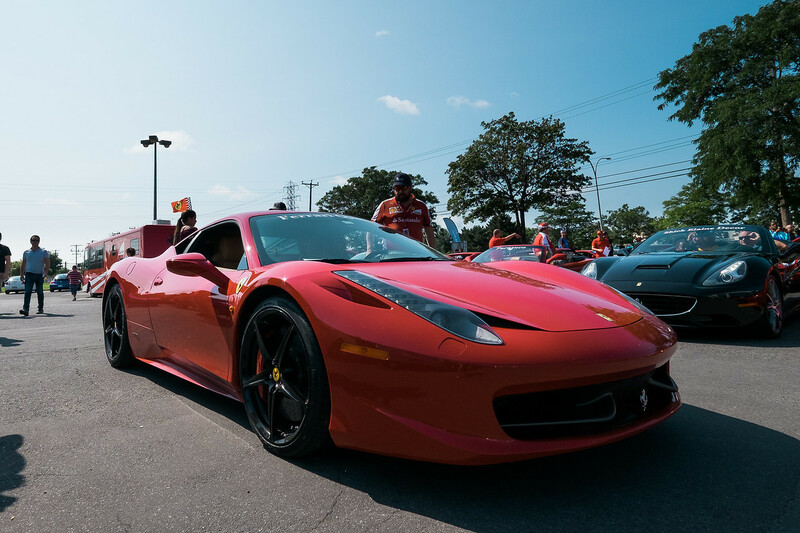 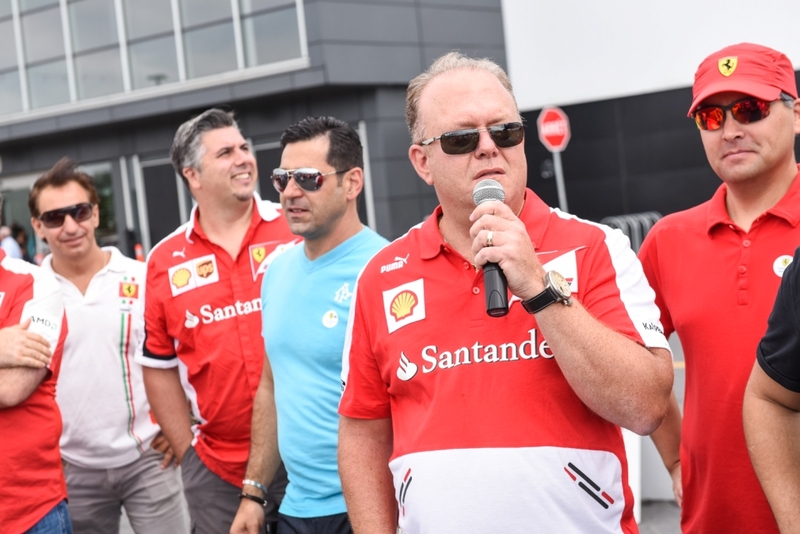 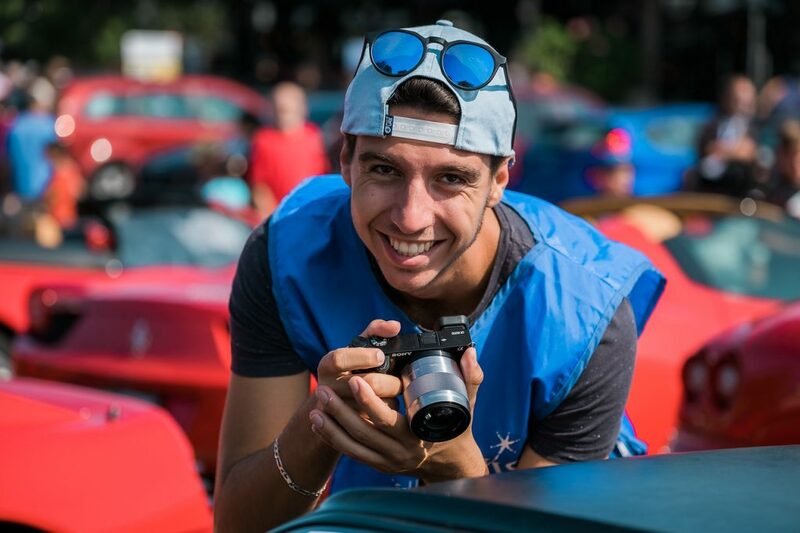 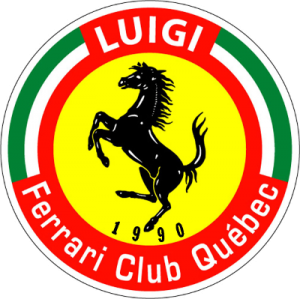 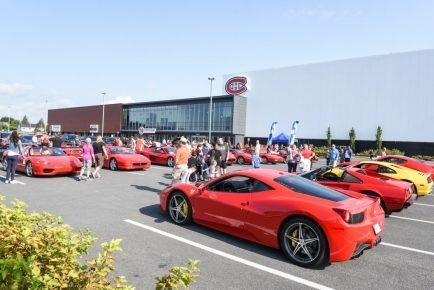 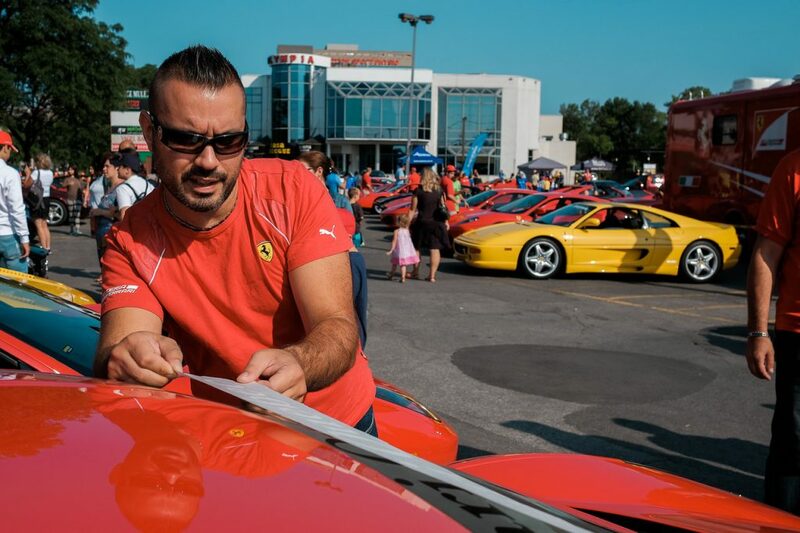 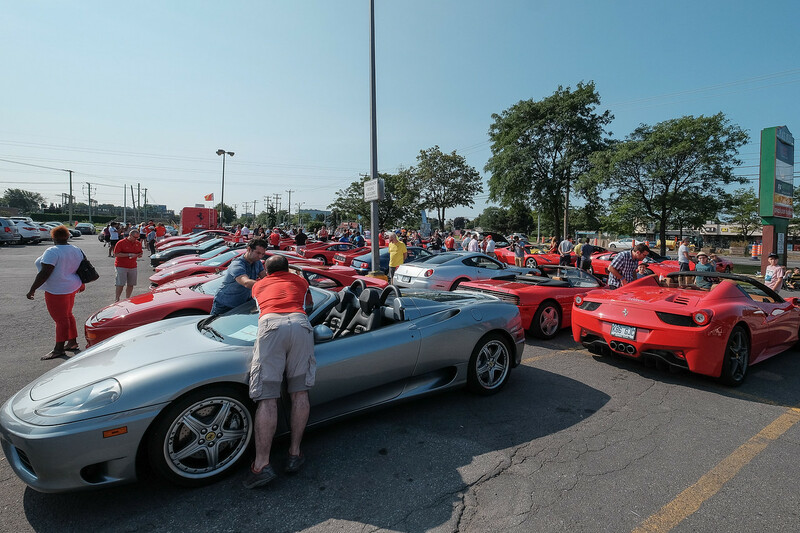 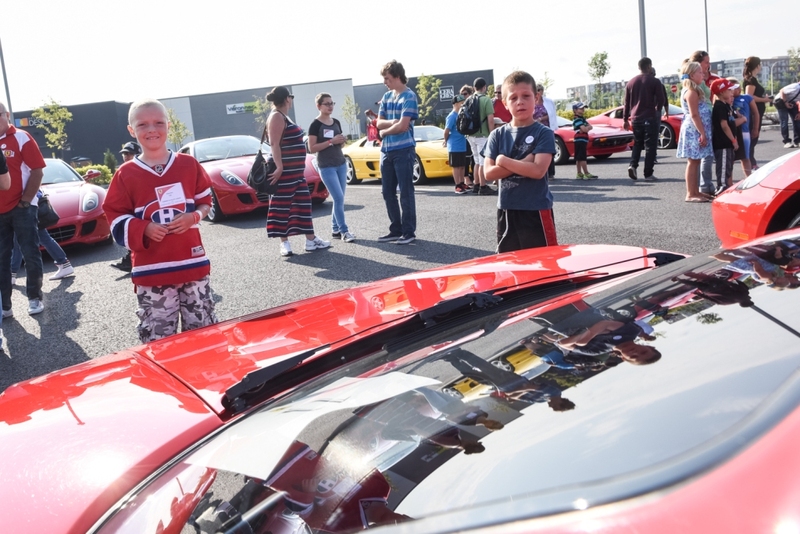 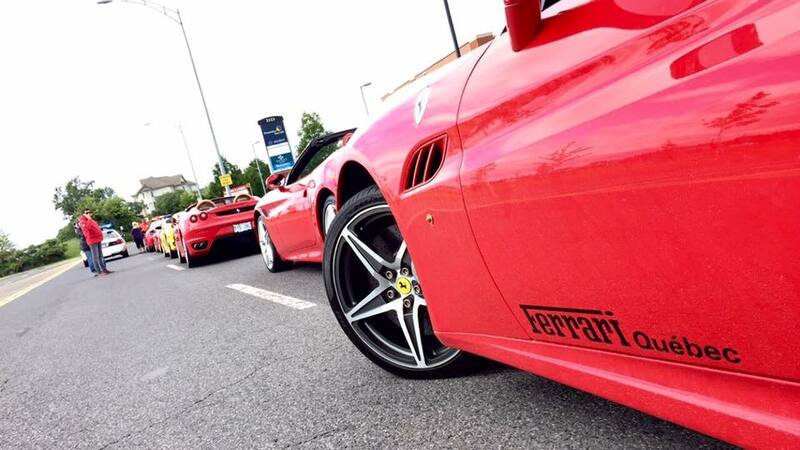 The Ferrari Club of America-Quebec Chapter is more than just a car club. 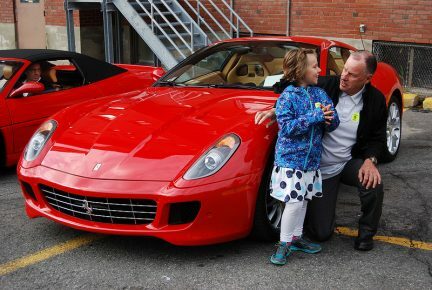 We as owners are fortunate enough to be living what is for most just a dream. 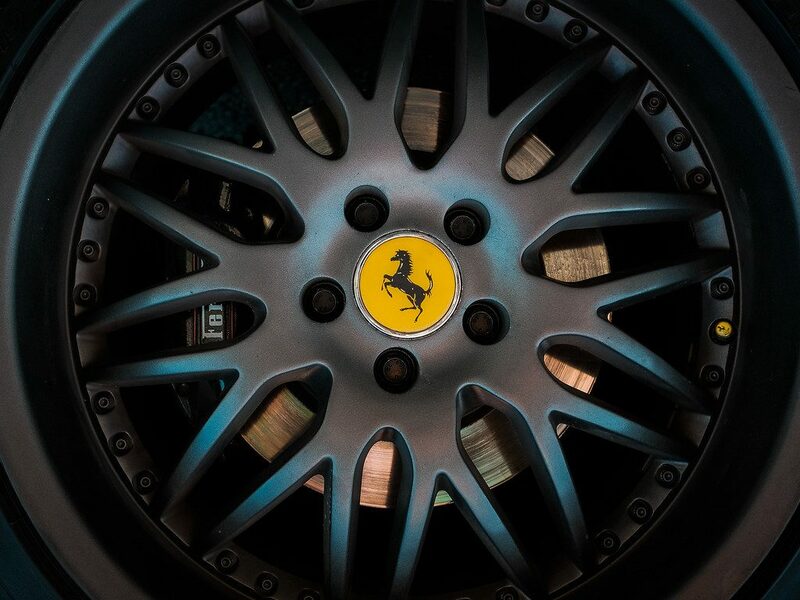 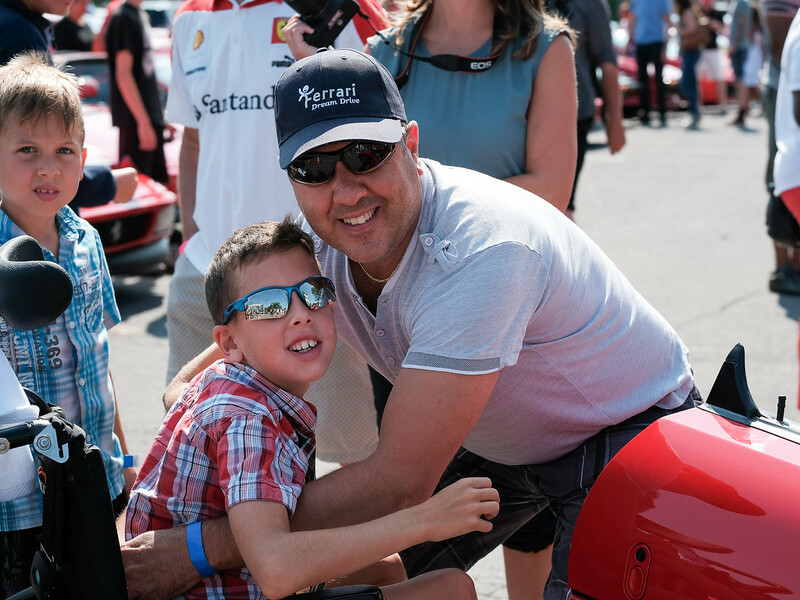 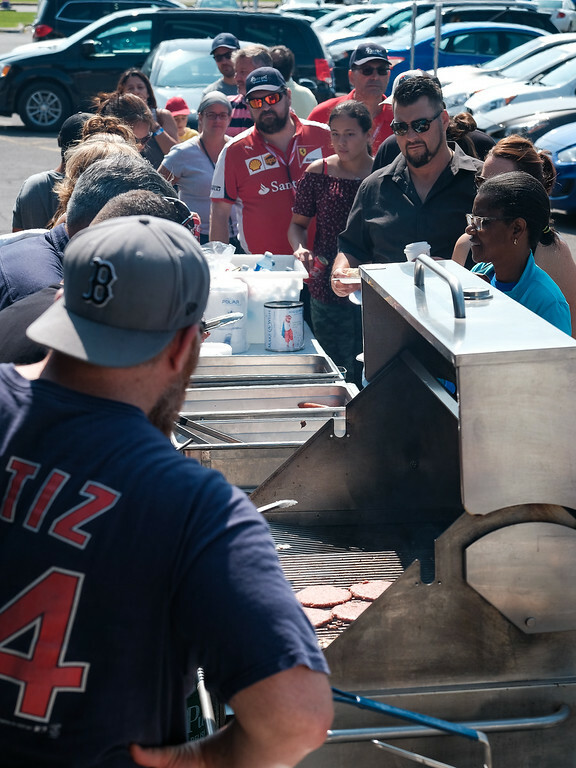 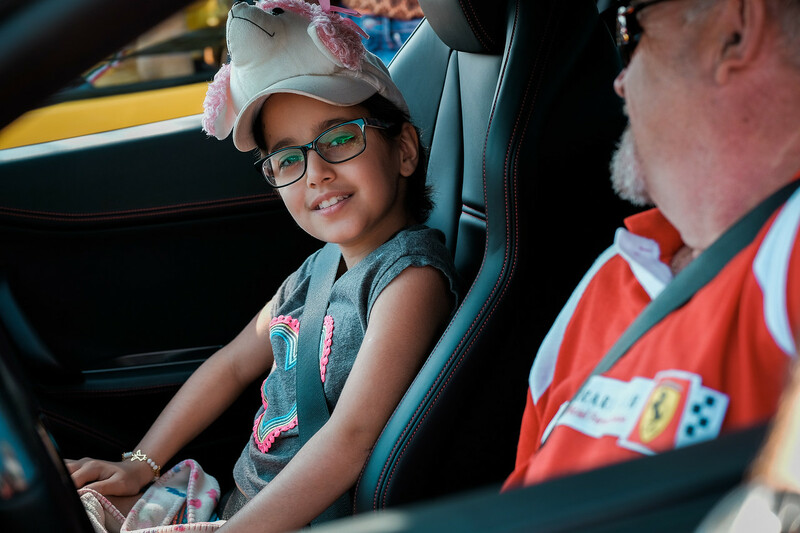 As custodians of our beloved prancing horses and ambassadors to Ferrari, it is our duty to share our dream and passion by giving back to our communities. 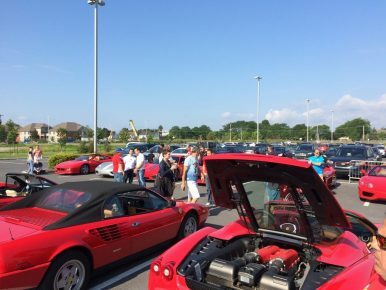 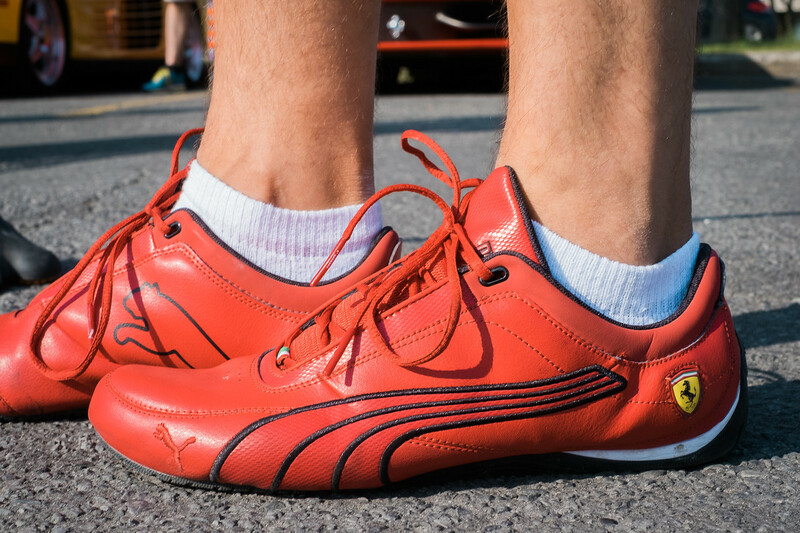 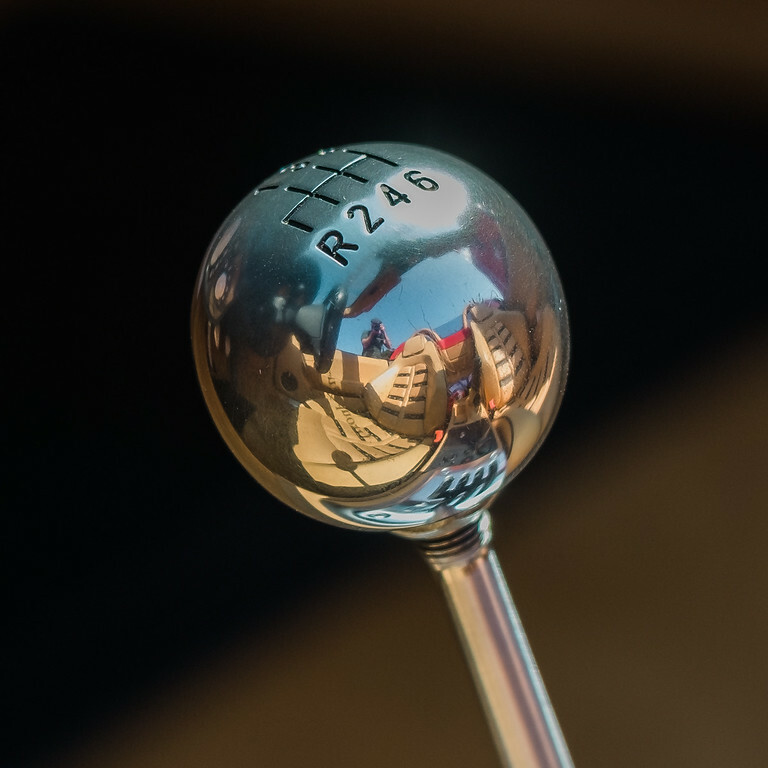 The club organises several events throughout the driving season including scenic drives, dinners, car exhibitions, motor racing events and most importantly fundraisers. 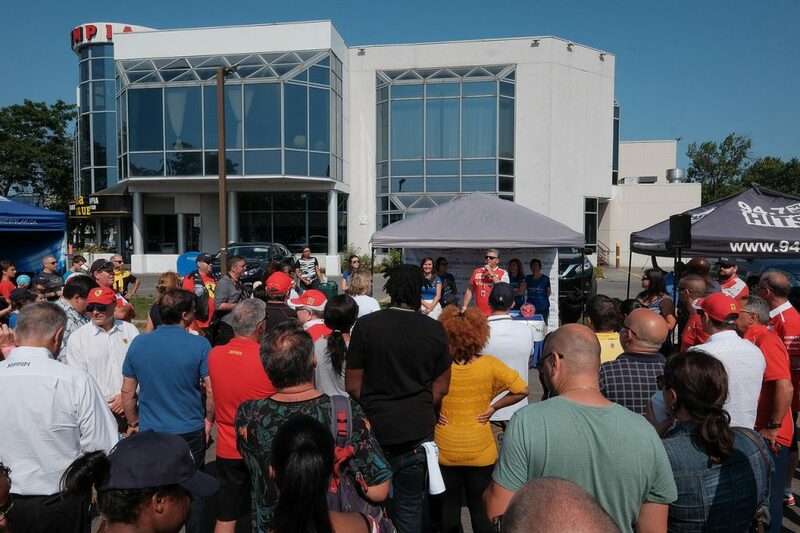 We encourage all members to come out and participate. 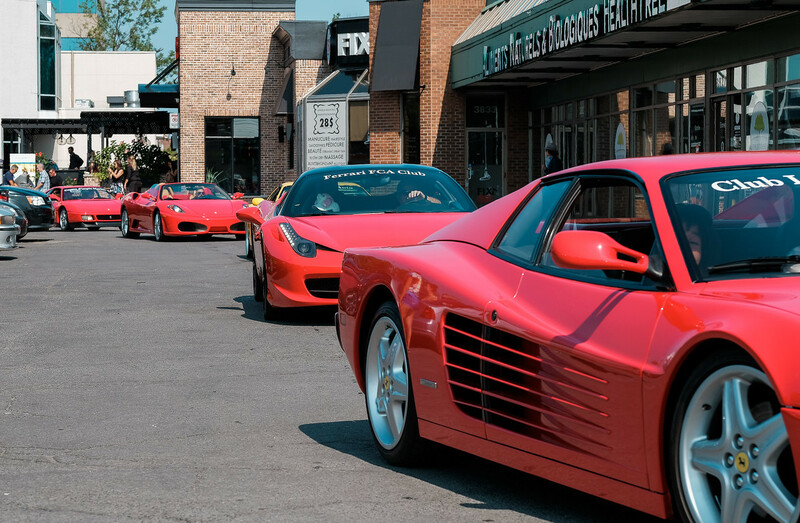 Ferrari’s are meant to be driven! 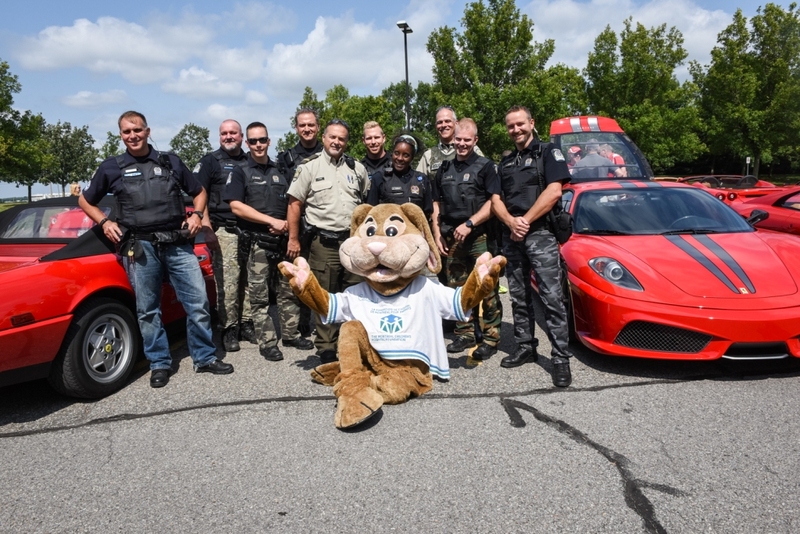 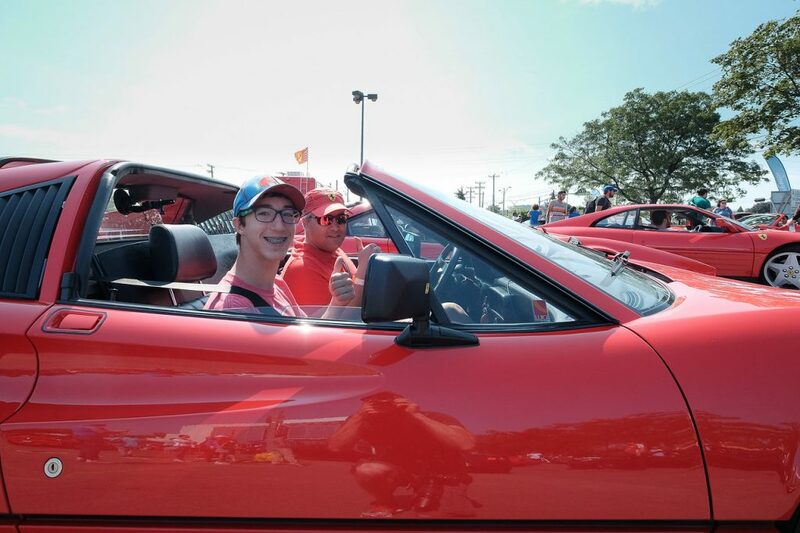 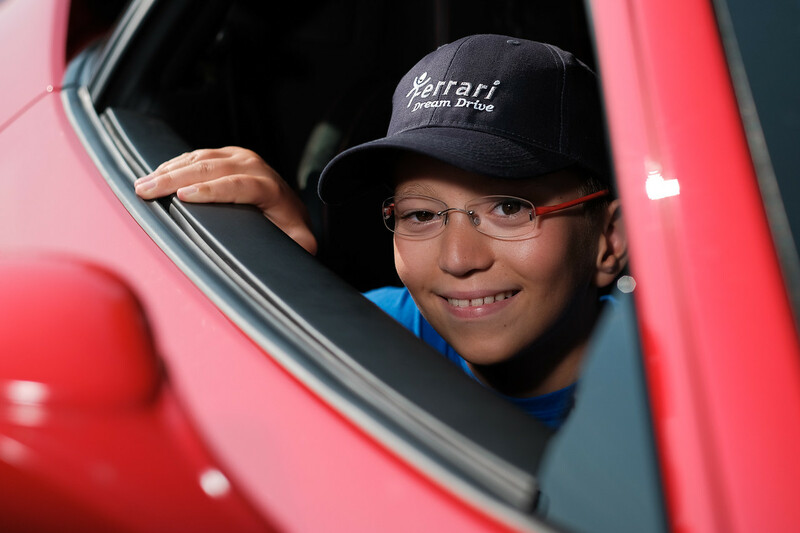 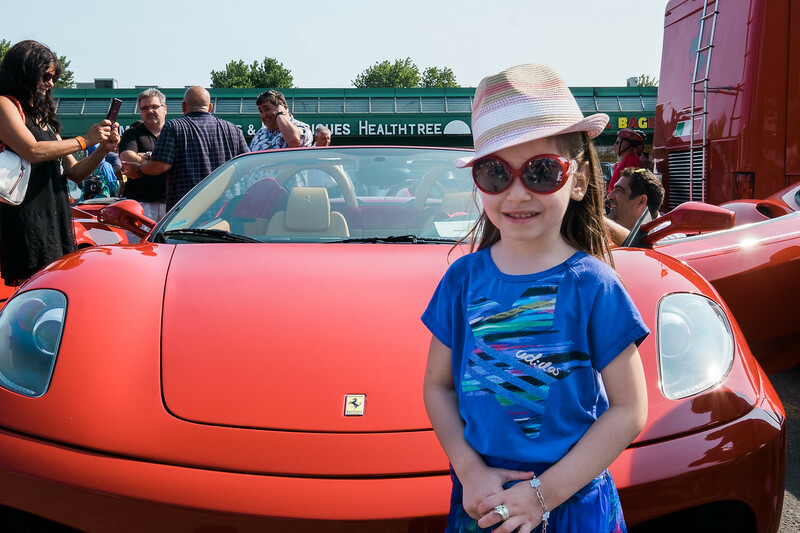 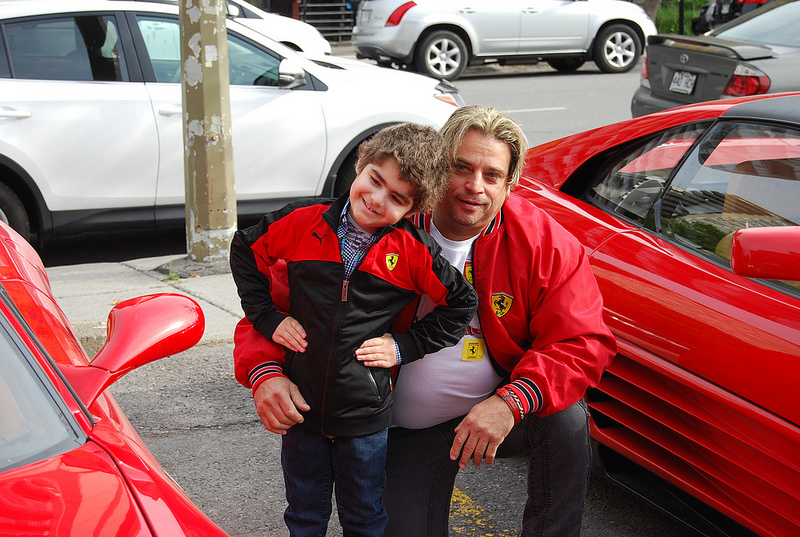 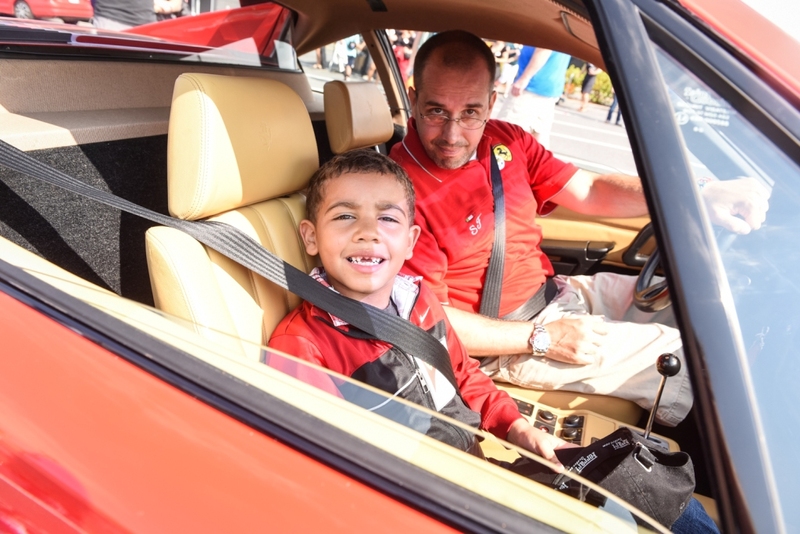 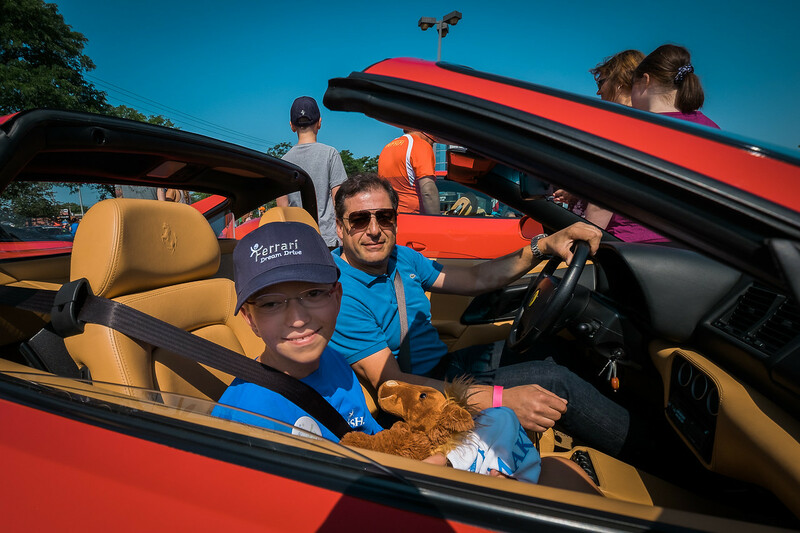 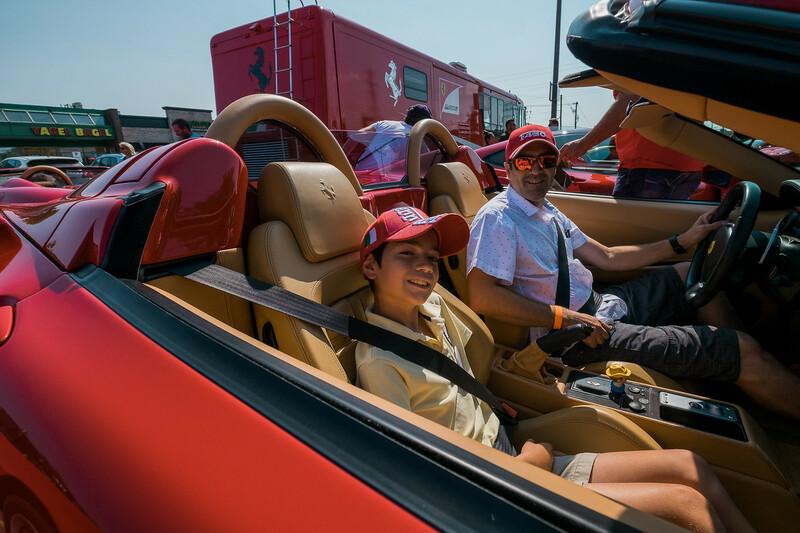 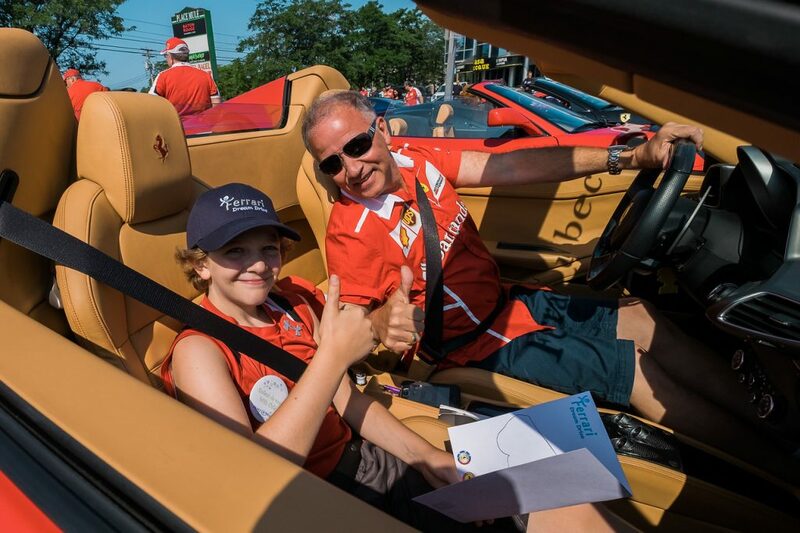 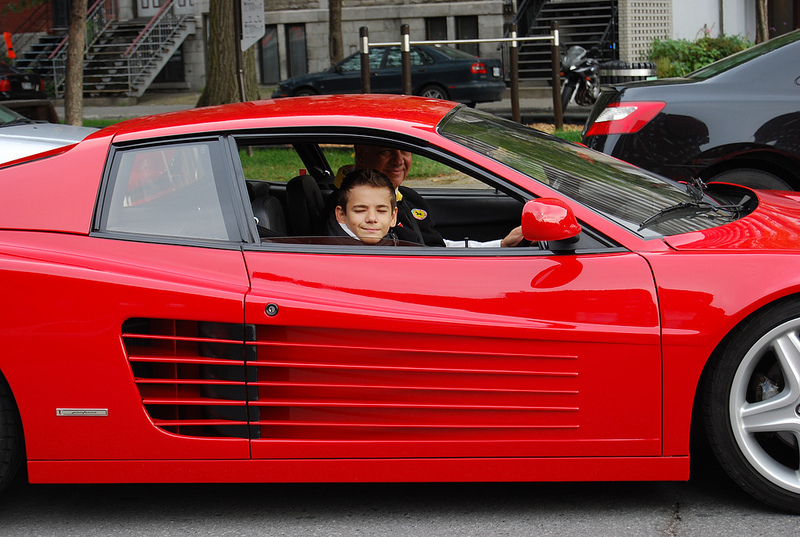 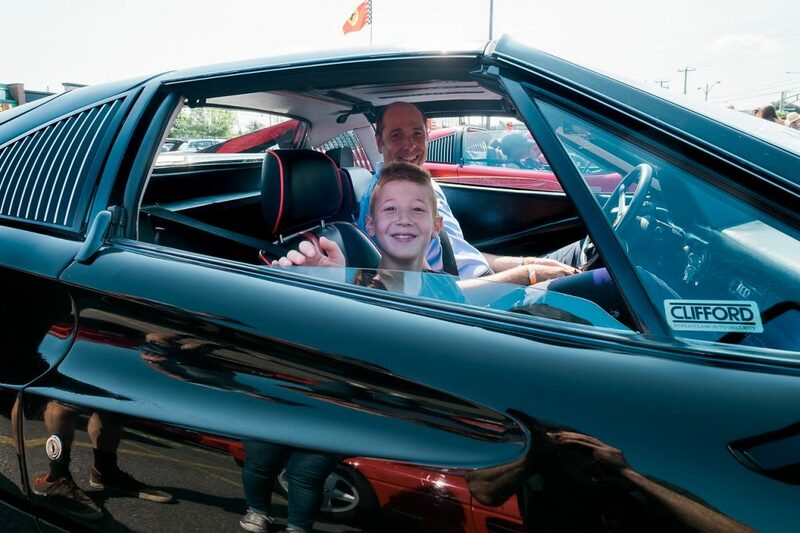 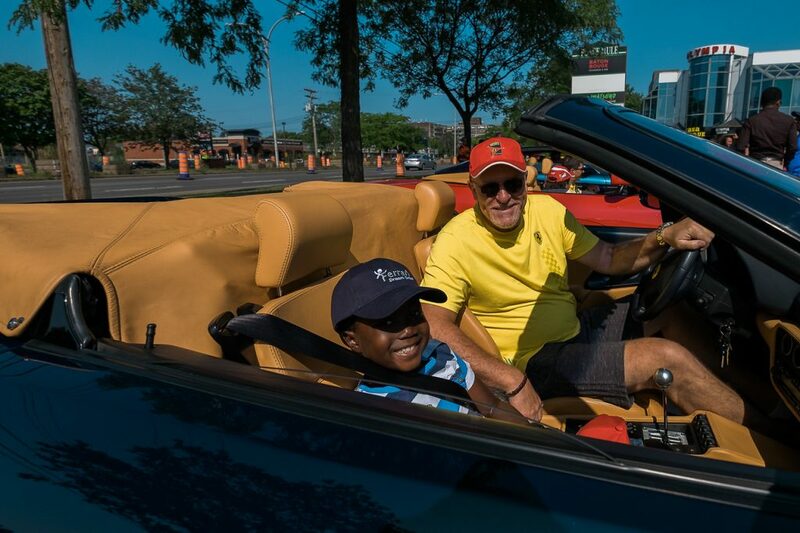 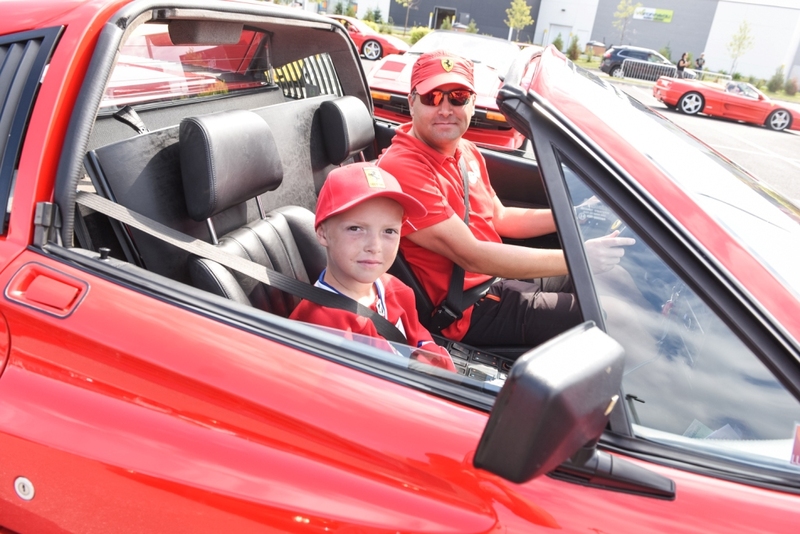 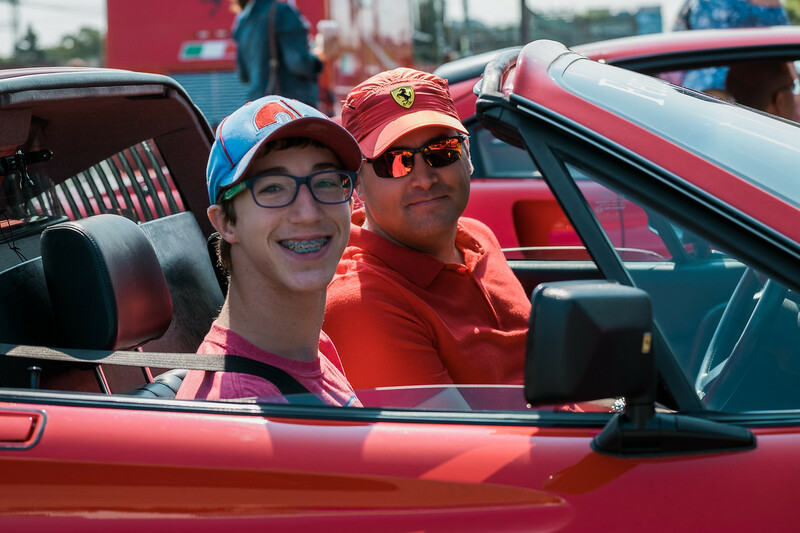 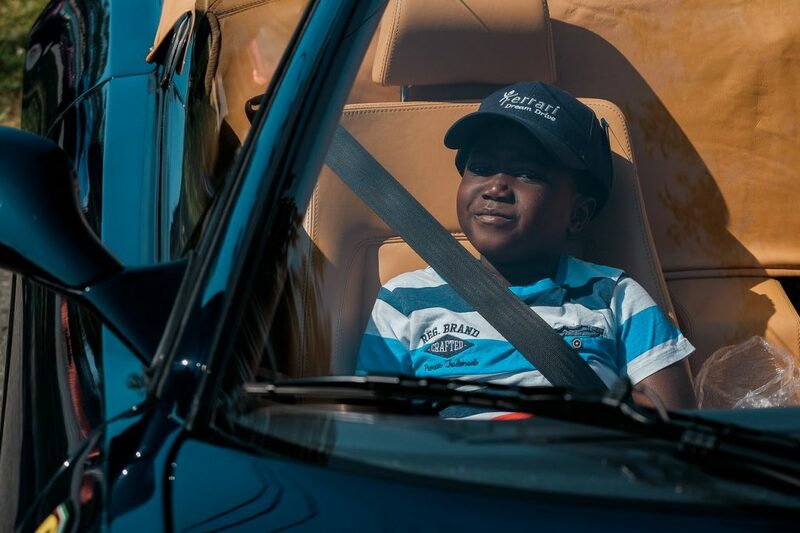 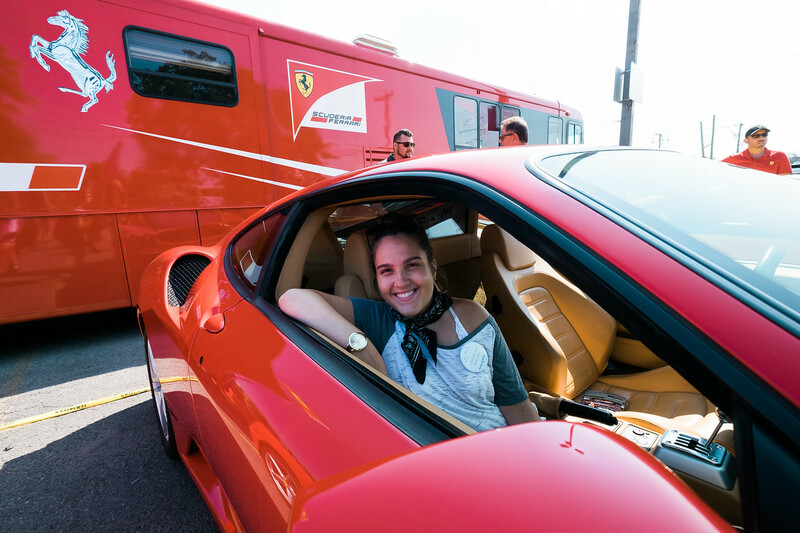 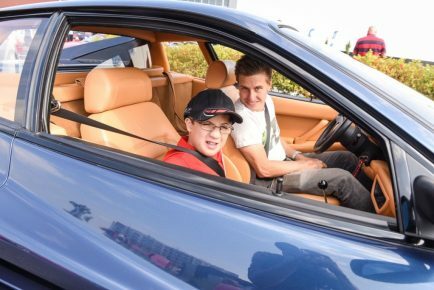 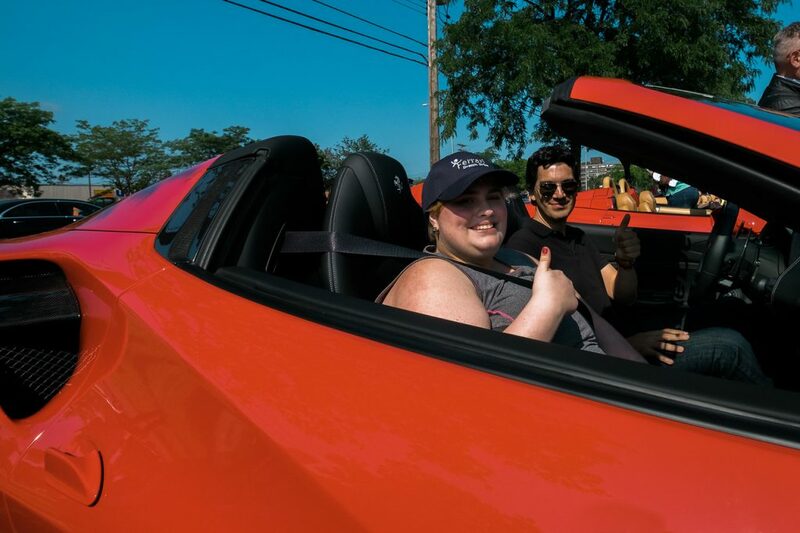 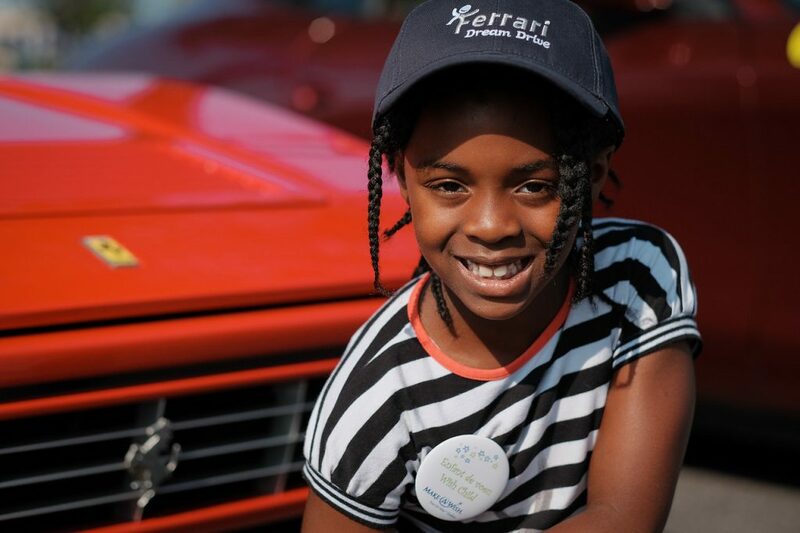 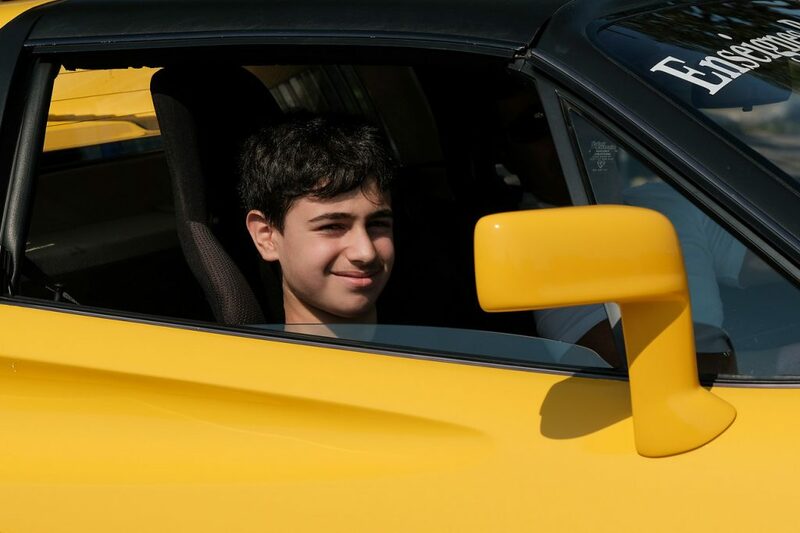 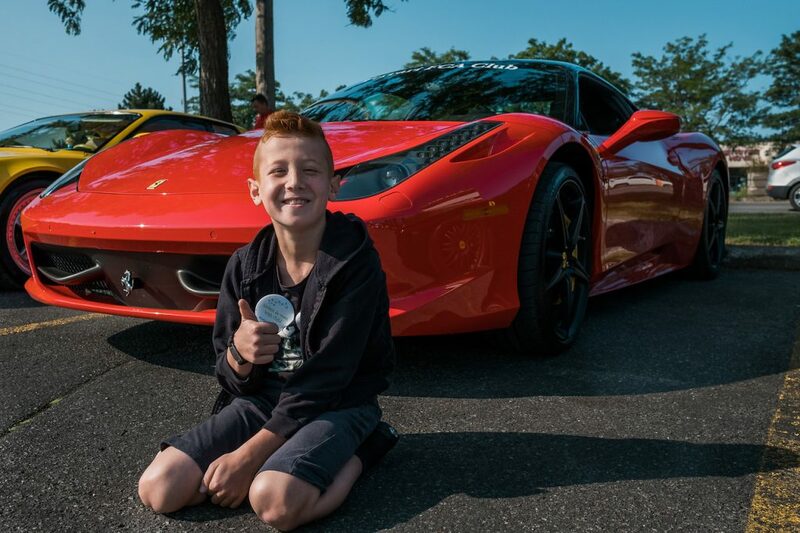 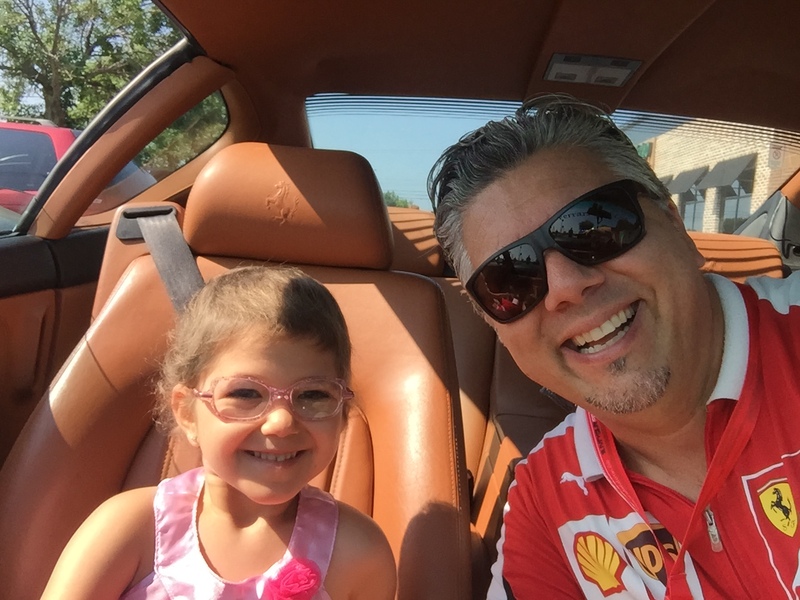 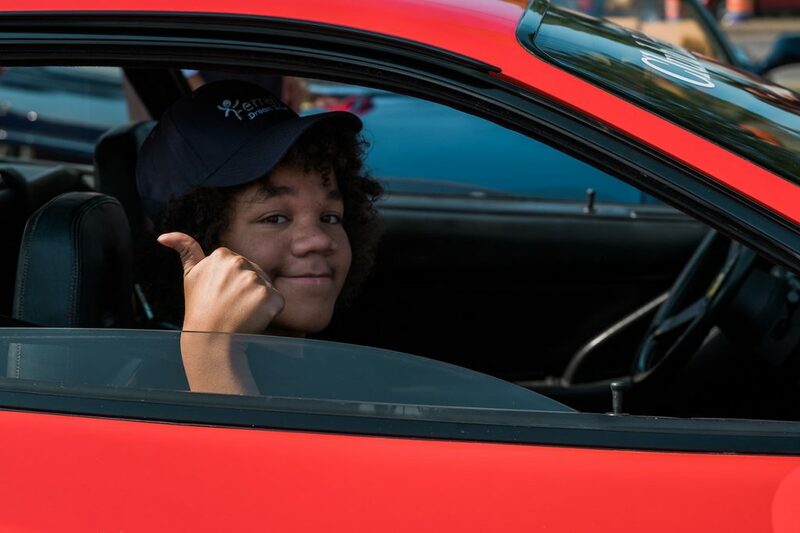 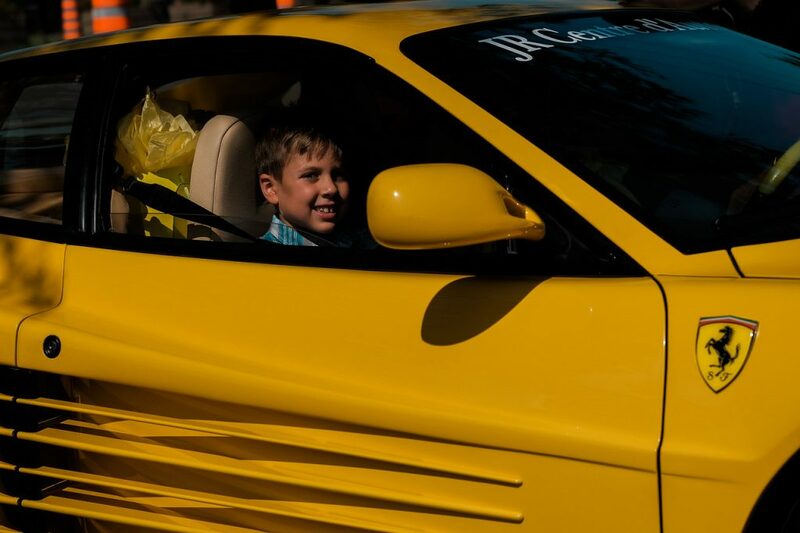 On Sunday August 19th, the Club and the Angelman Foundation would like to offer the children a ride in a Ferrari. 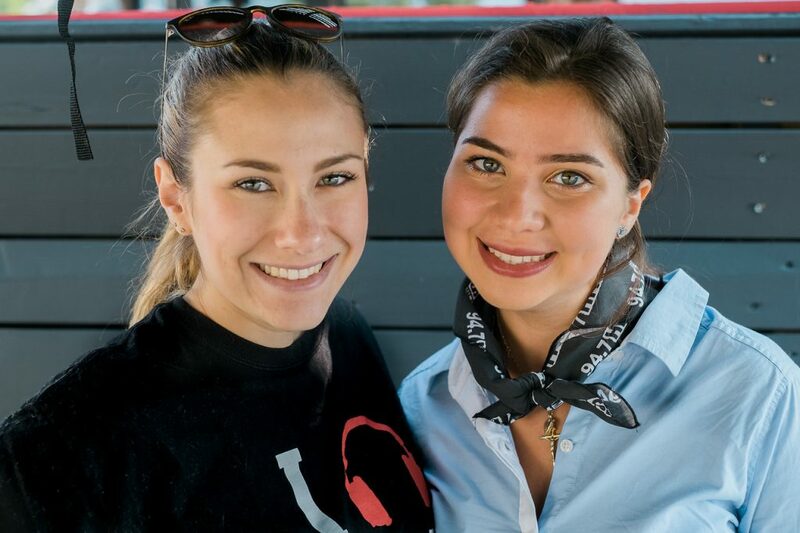 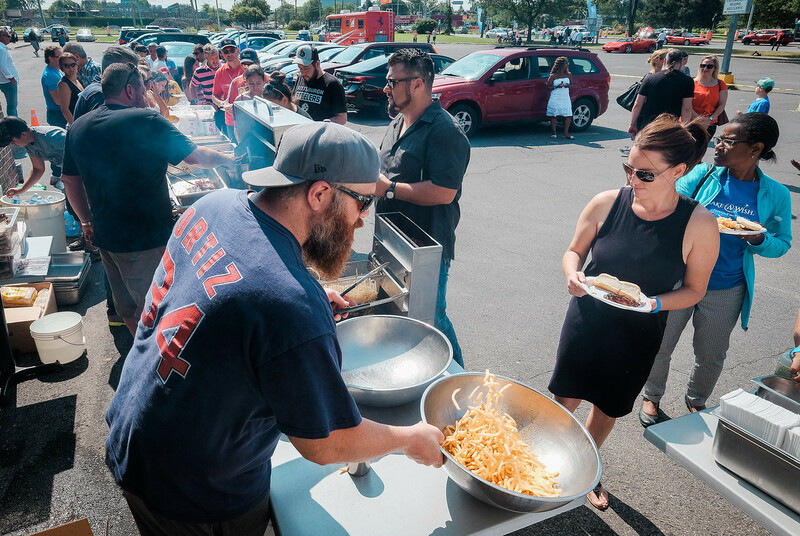 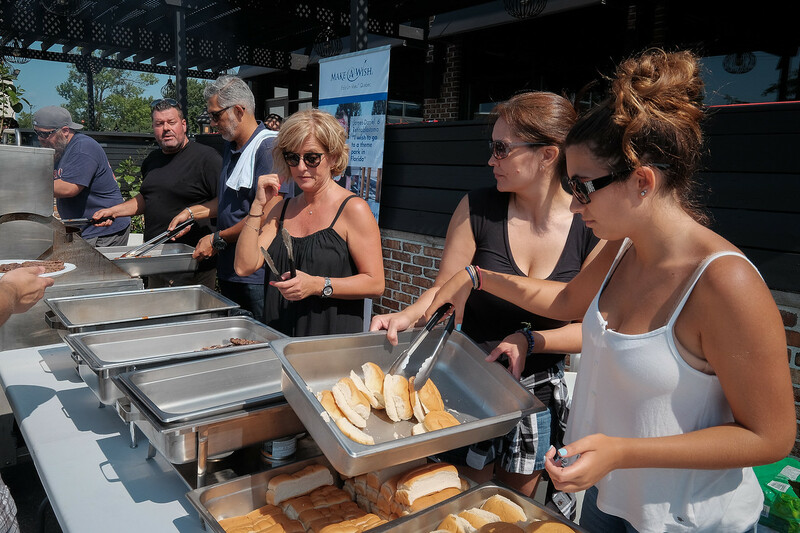 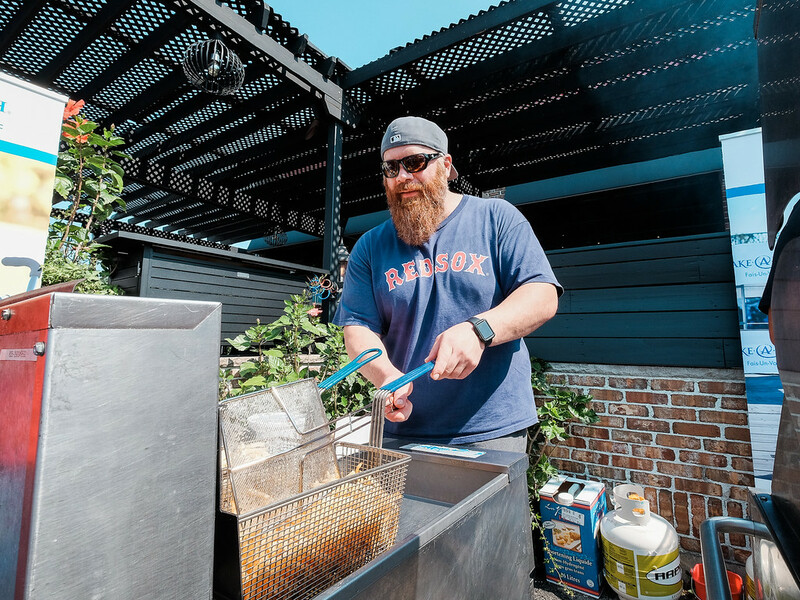 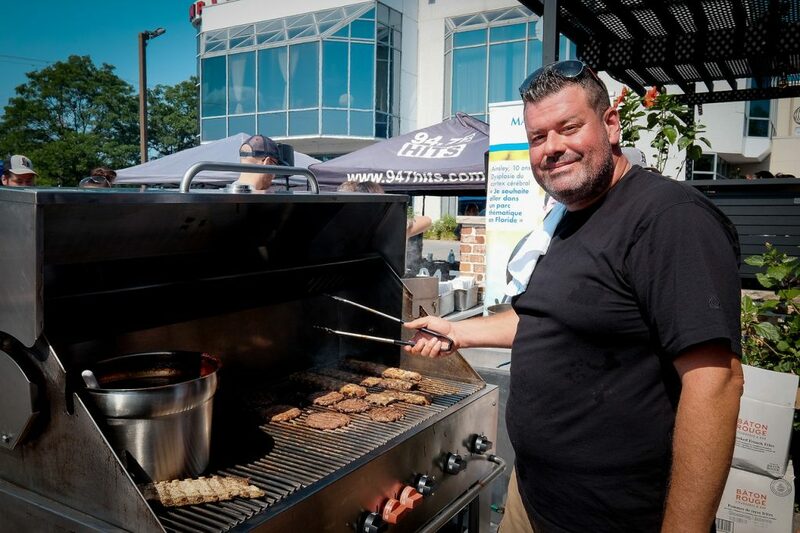 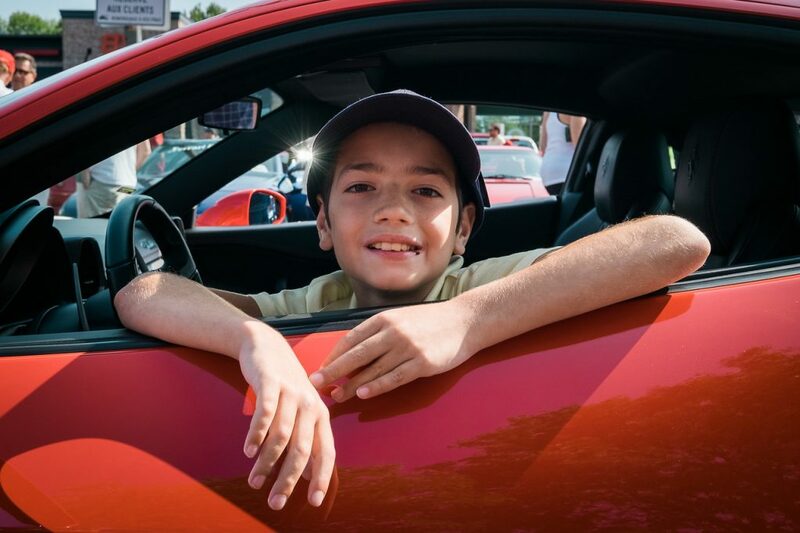 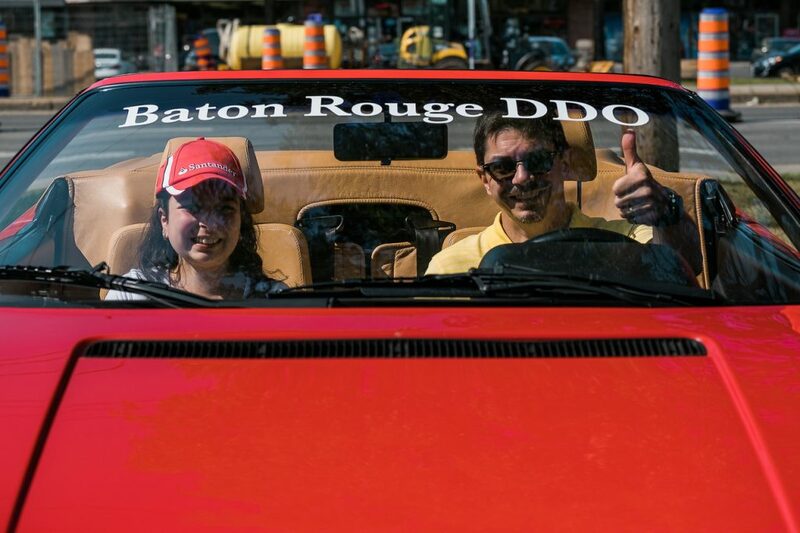 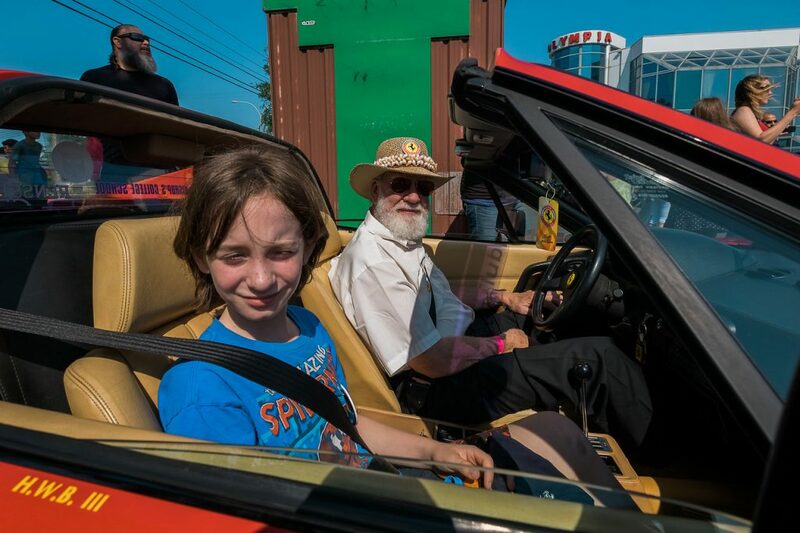 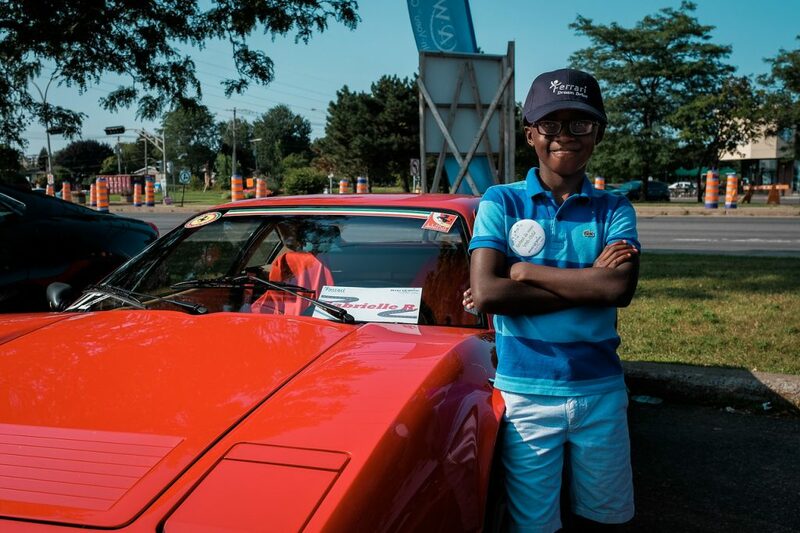 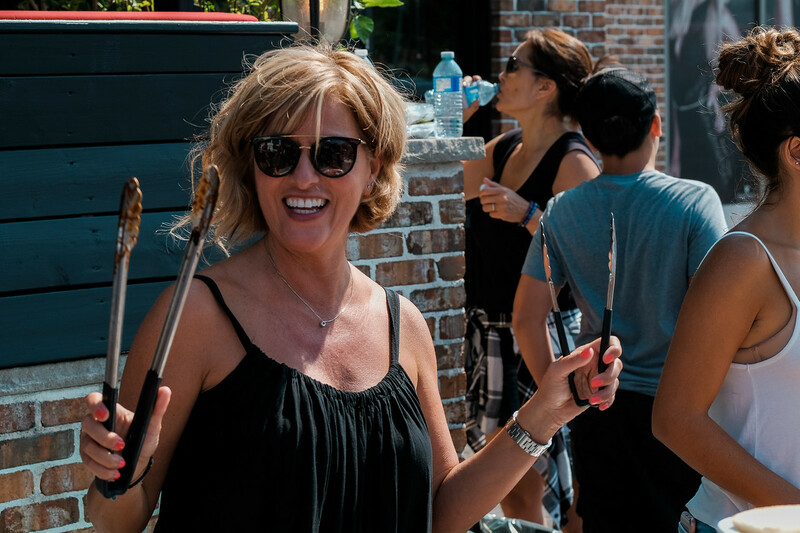 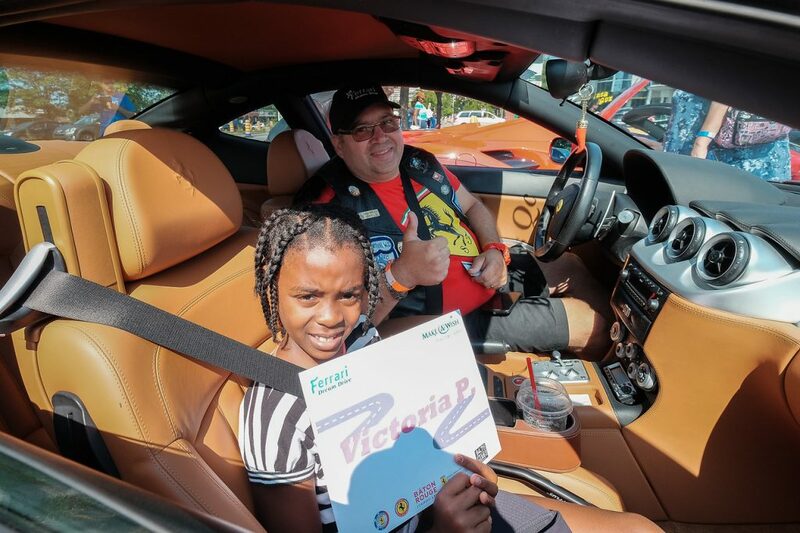 All the kids and their drivers will take a dream drive on a pre-determined route with a final destination at the Baton Rouge Restaurant 3839 St Johns Blvd, Dollard-Des Ormeaux, QC H9G 1X2. Pick-ups and drop-offs will occur from the parking lot of the restaurant. After the drive a lunch will be served. 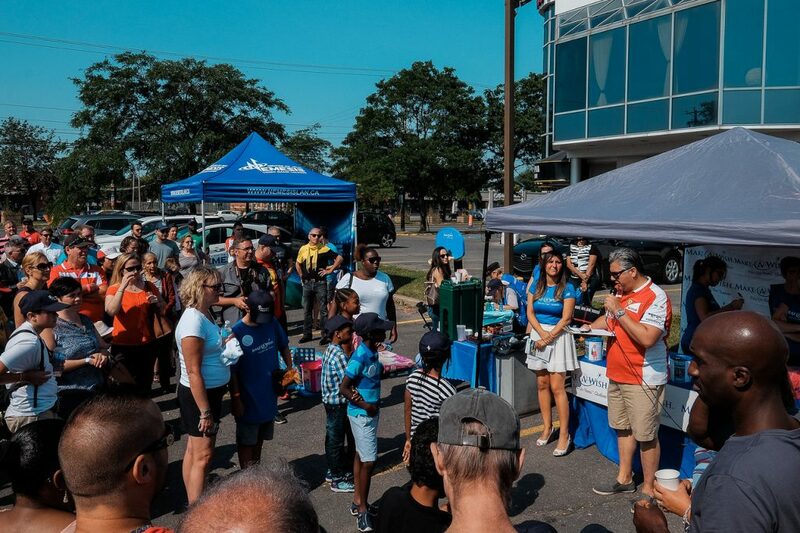 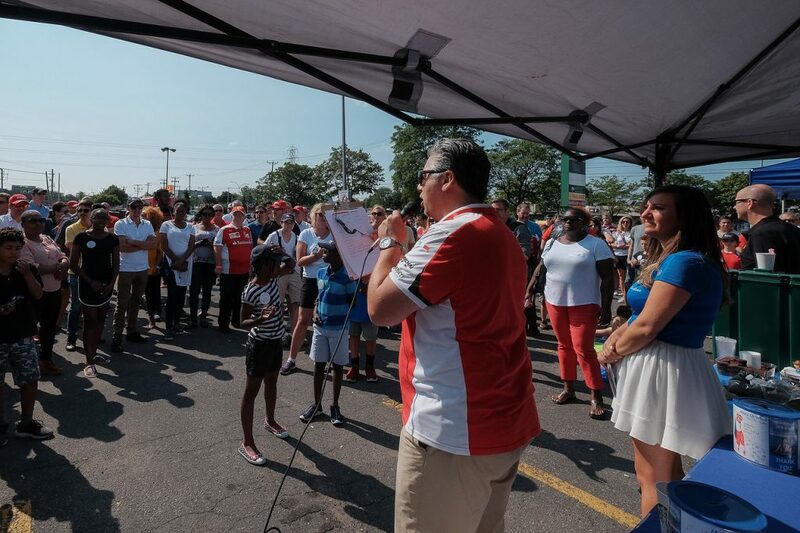 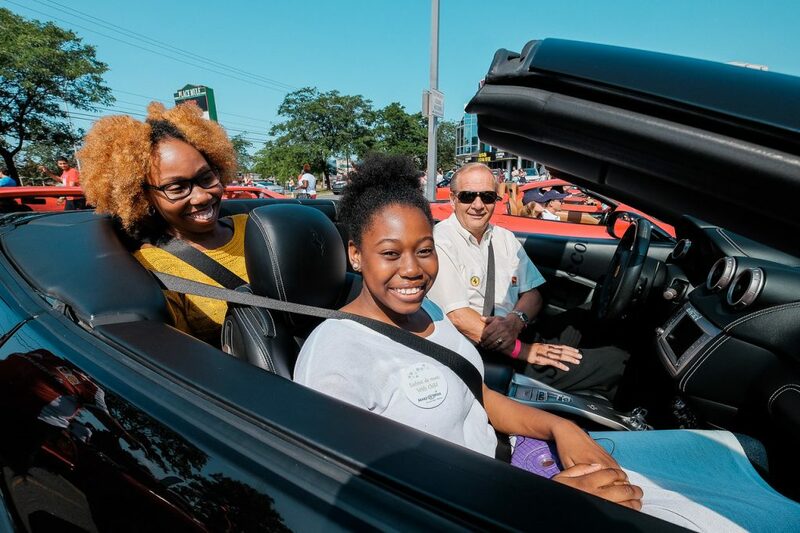 Corporations and individuals are asked to sponsor an automobile the day of the event. 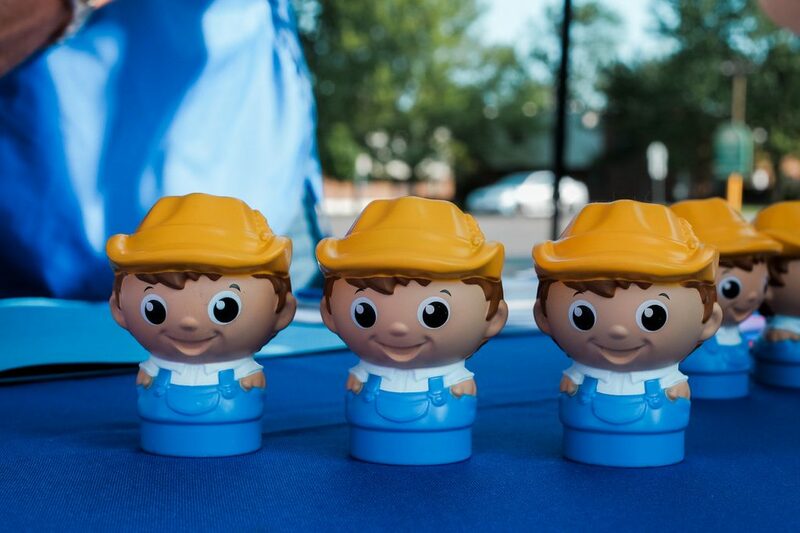 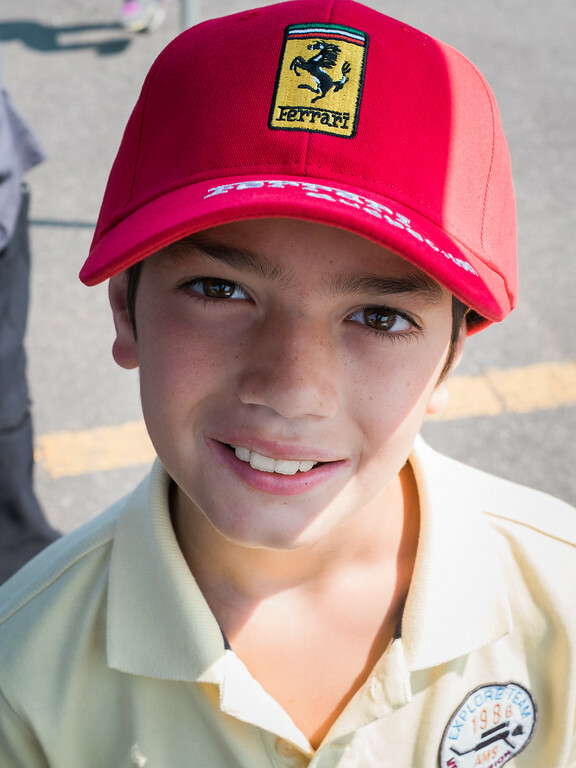 -Drivers must register at the Foundation’s tent upon arrival. and pairing of drivers and passengers. 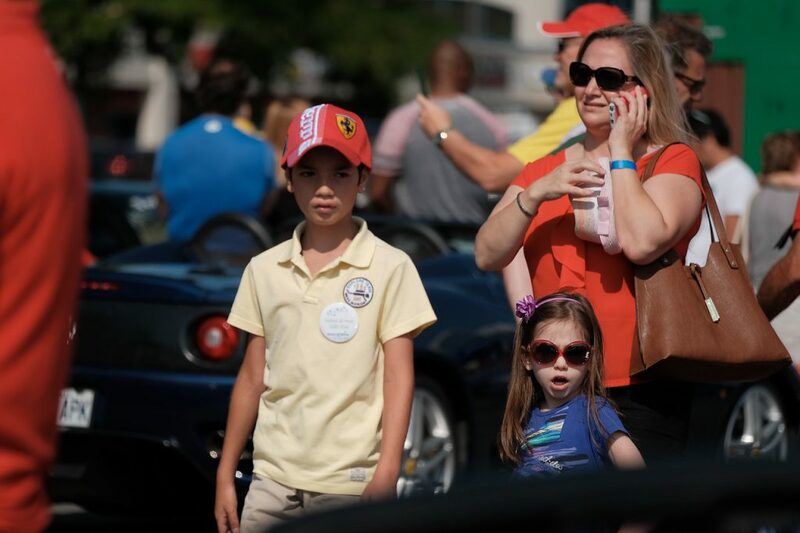 Parents and kids will be served first. 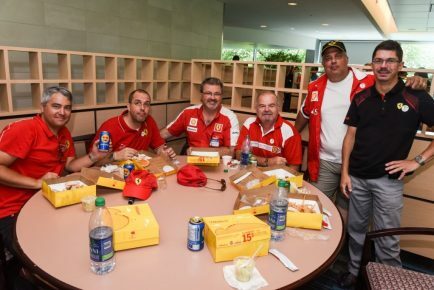 Drivers and volunteers will eat second. How can you be involved in this unique event? 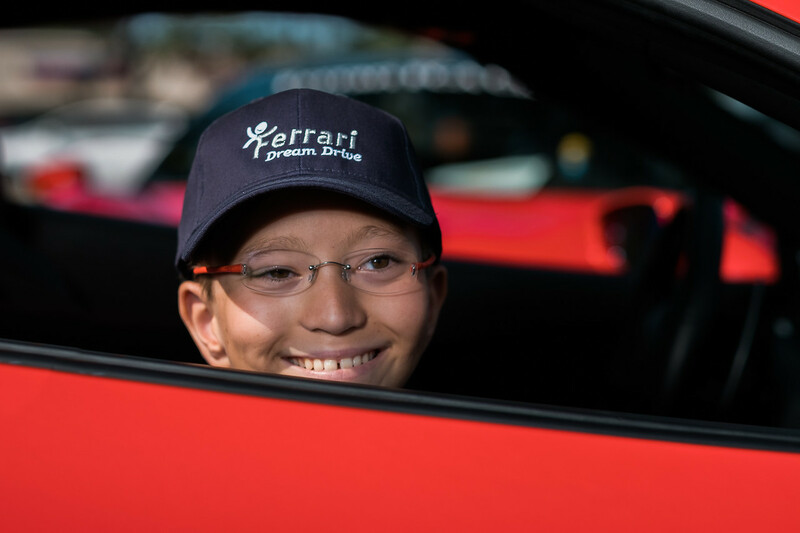 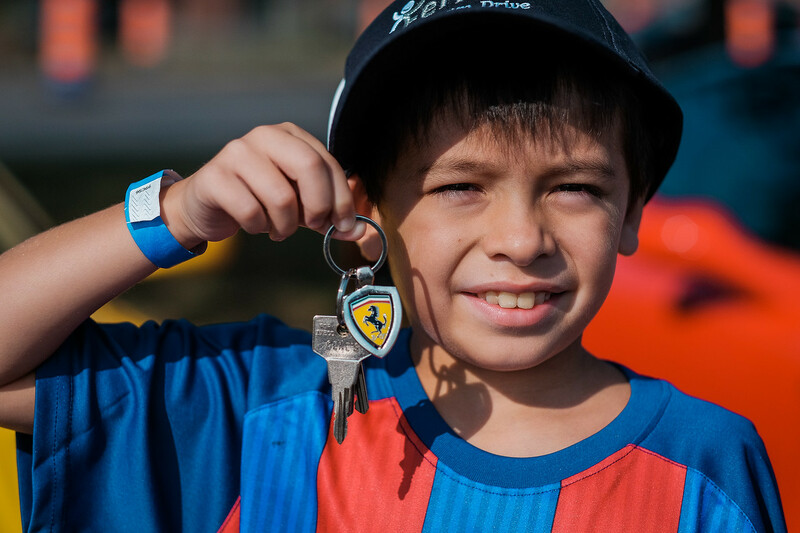 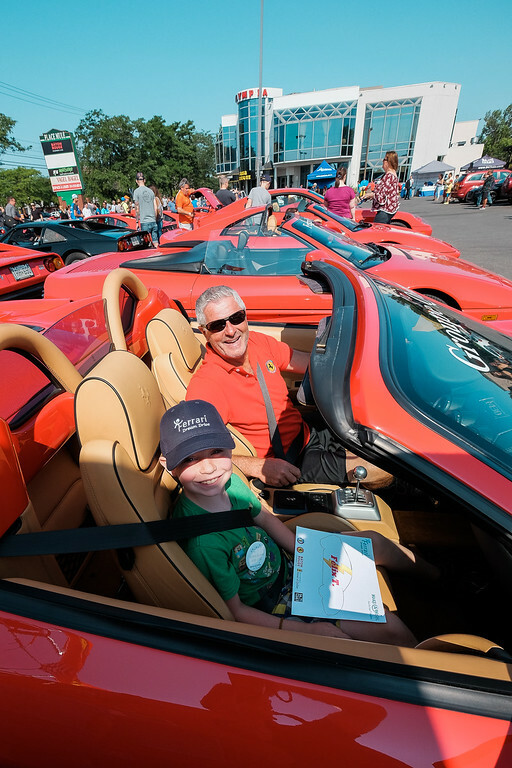 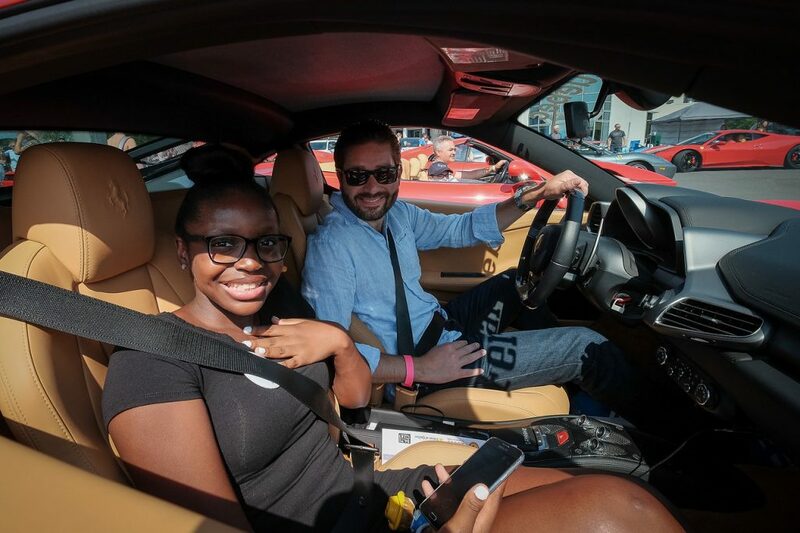 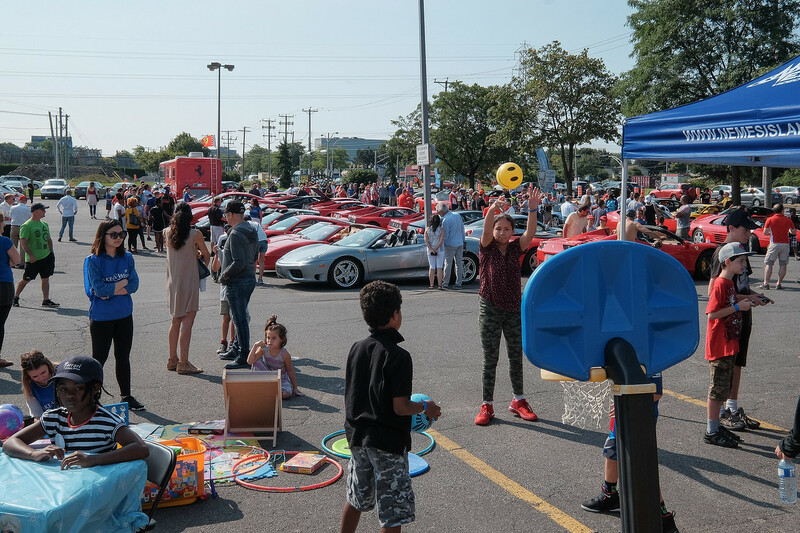 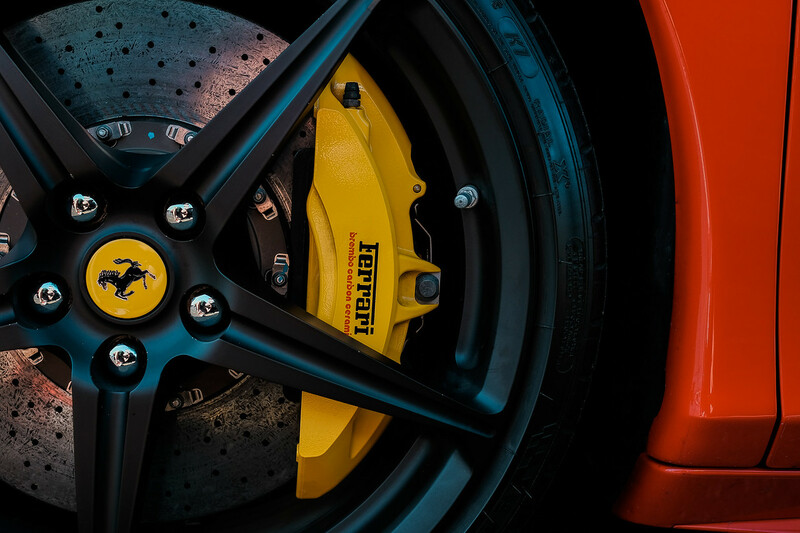 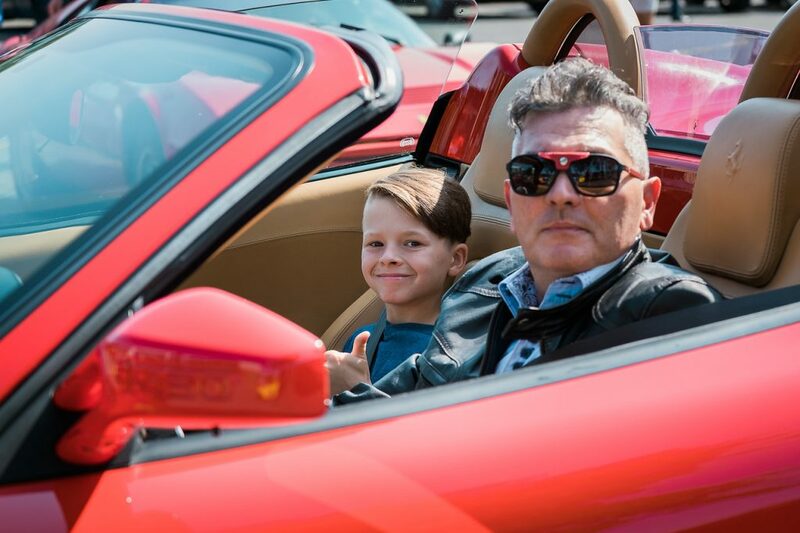 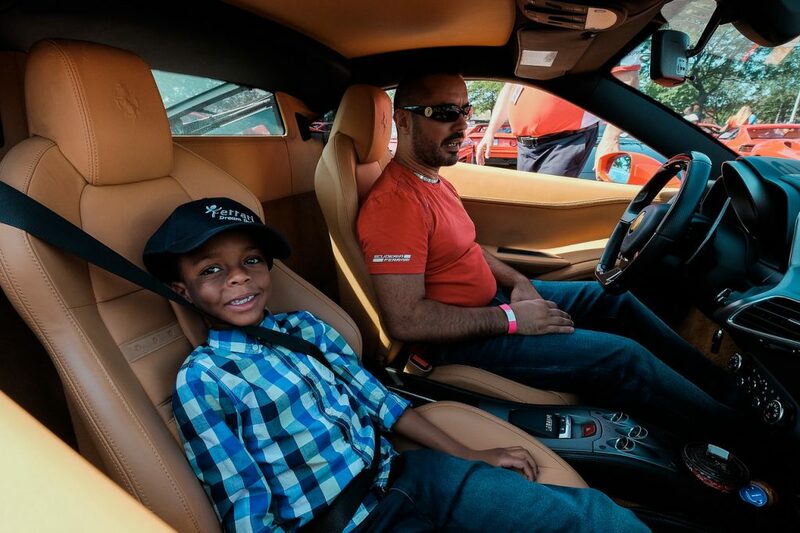 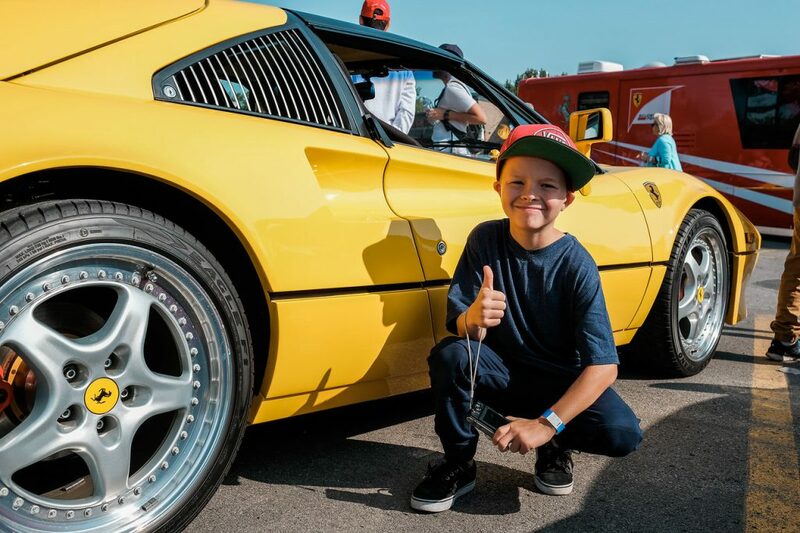 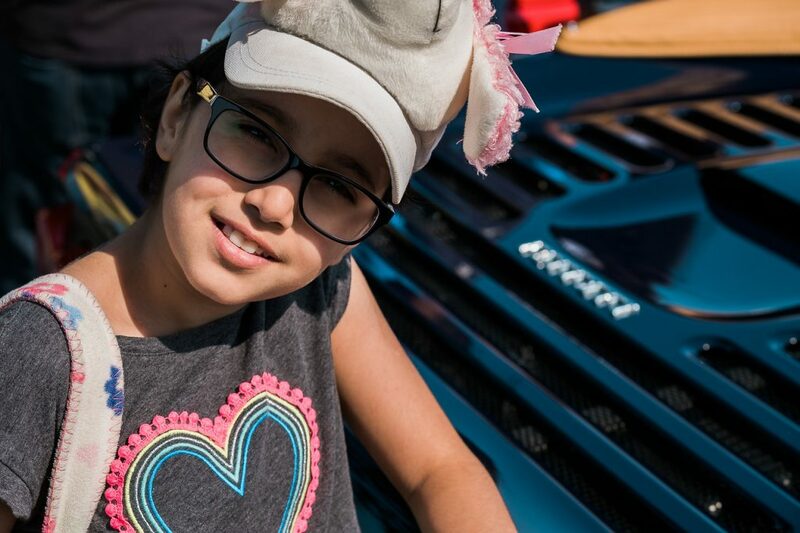 We are looking for Ferrari owners that could participate in the event by offering rides to the children of Angelman Foundation. 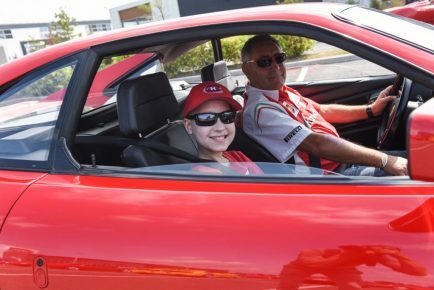 If you do not want to participate as a driver but would like to sponsor the event by donating, see the form below. 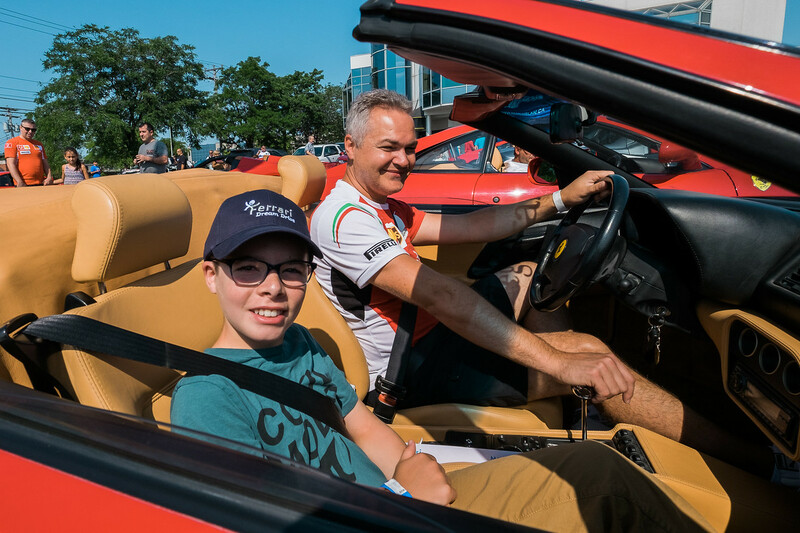 Please note a minimum donation of 150$ per car is required*, *250$ if registration is done after August 15, 2018. 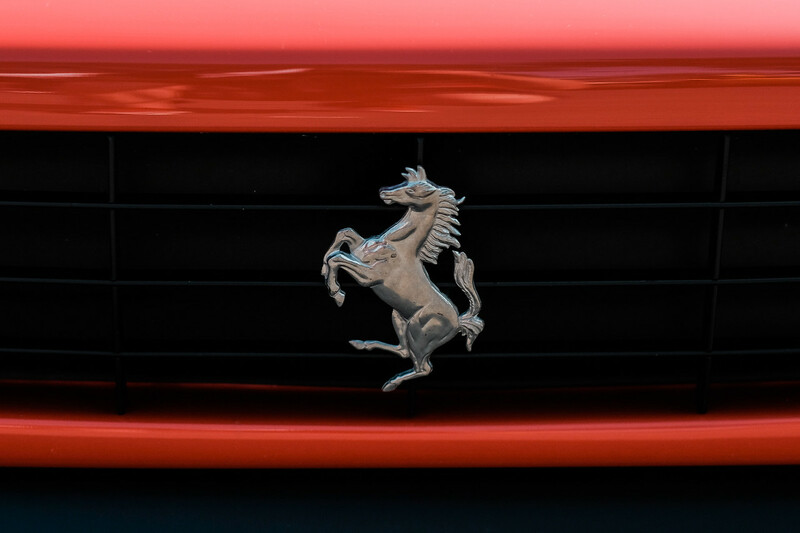 Please indicate your company name as you want it to appear on the tax receipt if applicable. 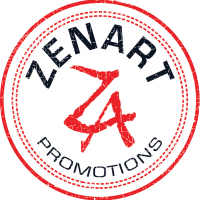 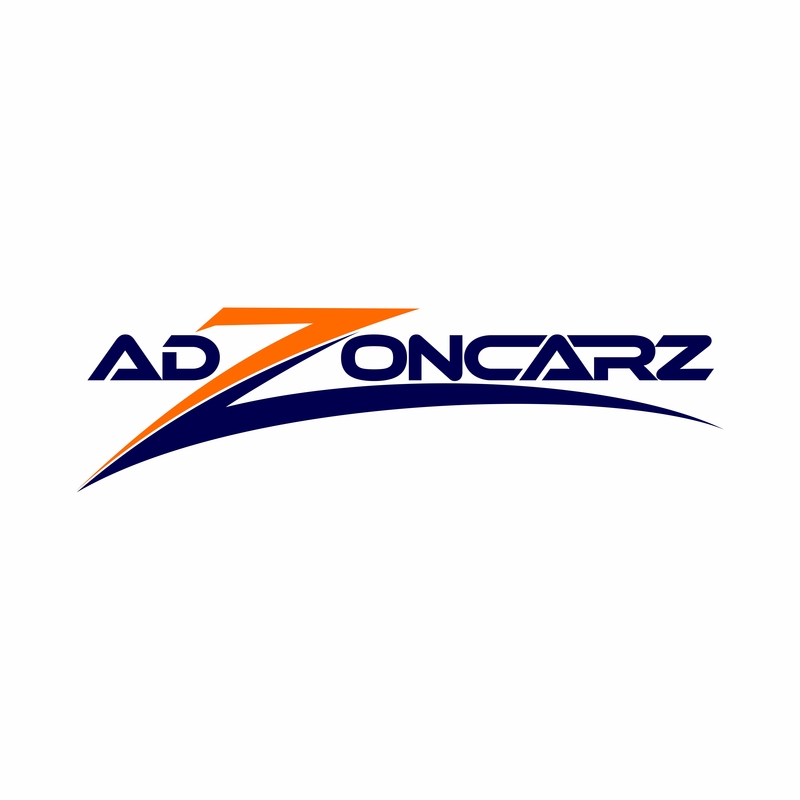 Please indicate the URL to which your company name will link from our website. 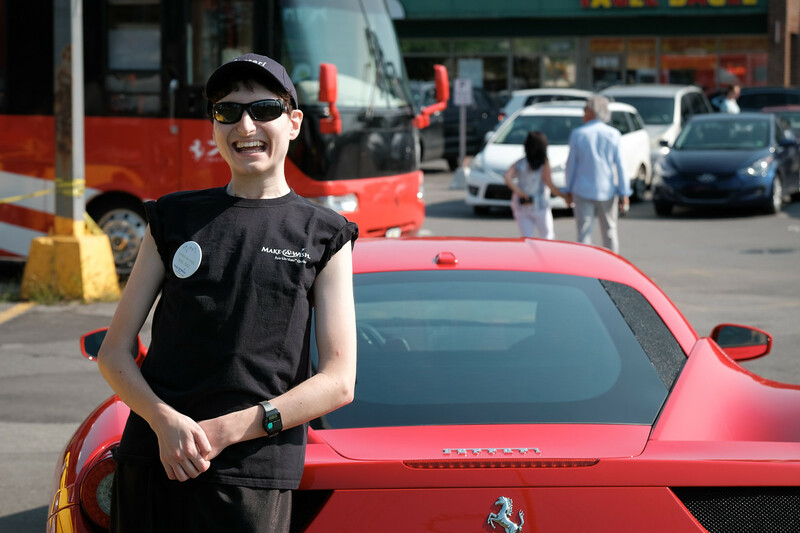 The Angelman Foundation’s primary mission is to fund its Respite Center. 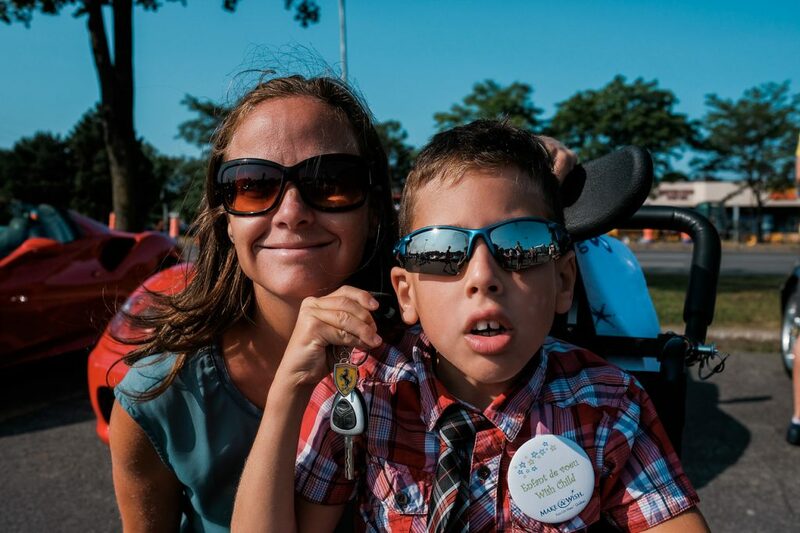 Providing much needed respite services to families of individuals with an intellectual disability or autism. 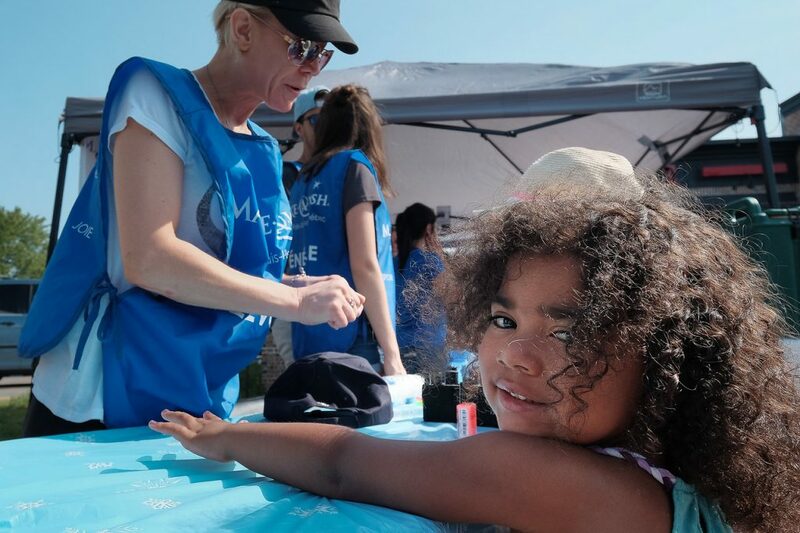 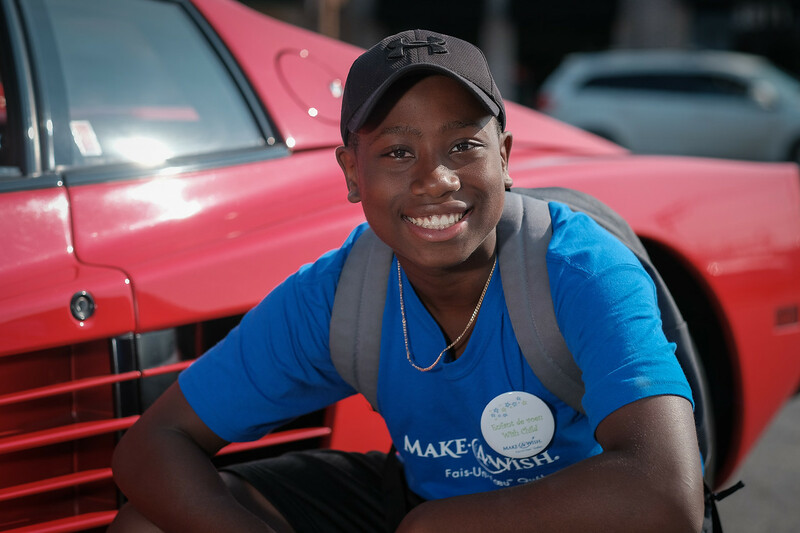 Since 1980, Make-A-Wish has granted more than 415,000 wishes worldwide. 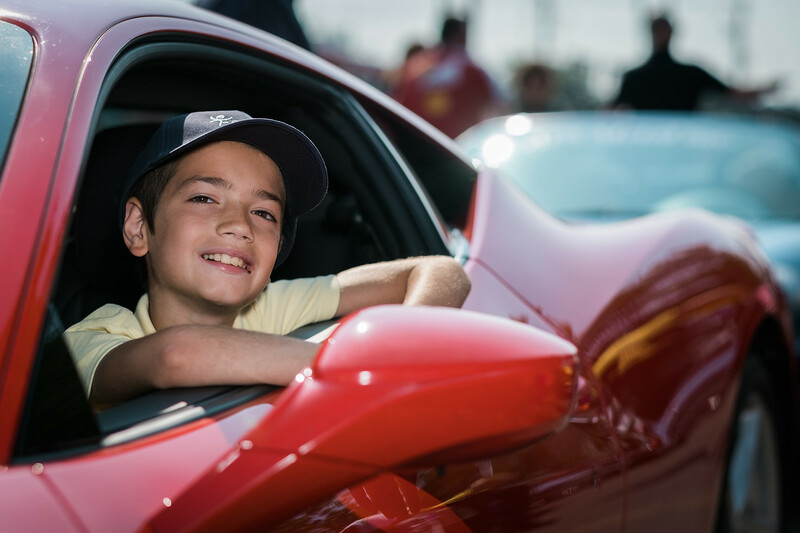 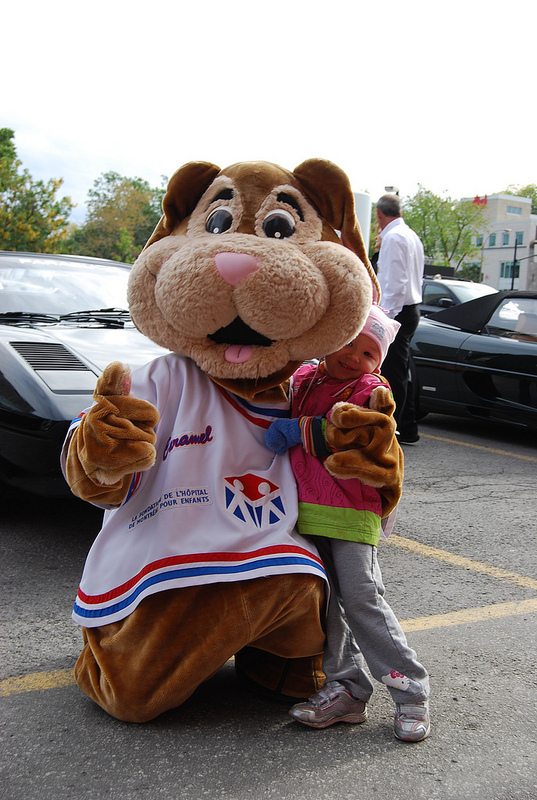 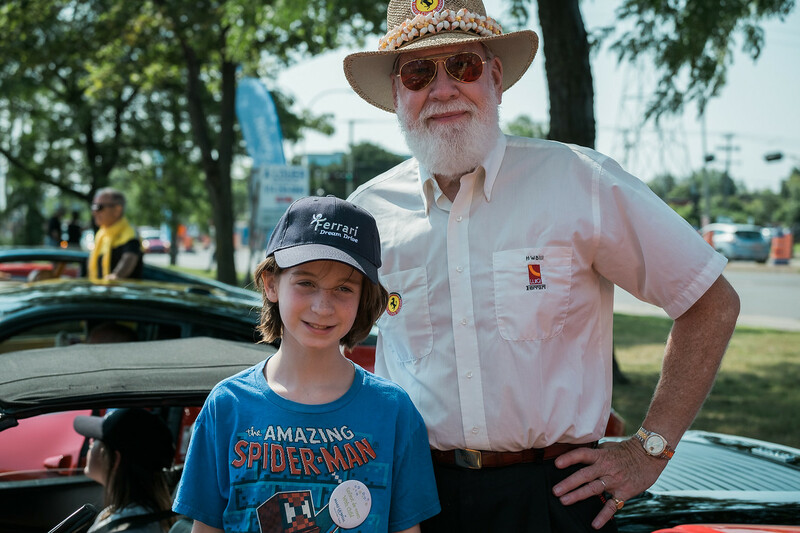 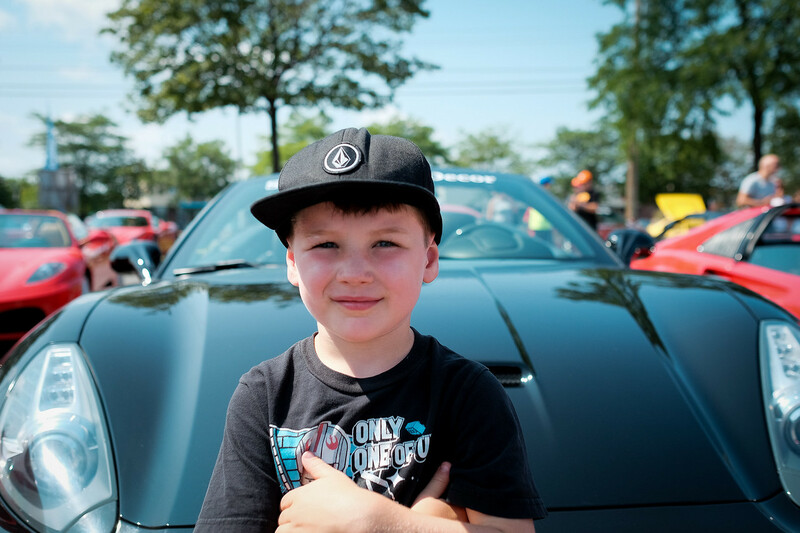 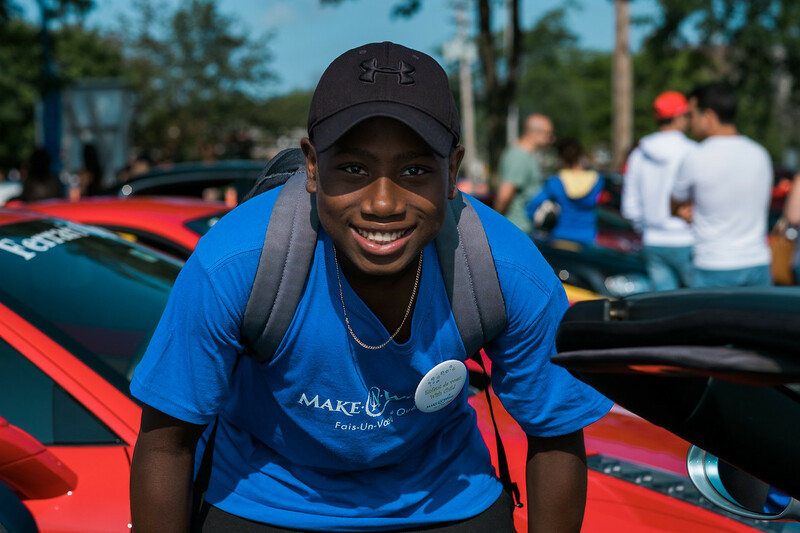 Since 1983, Make-A-Wish Canada has granted more than 5,200 wishes to Canadian children. 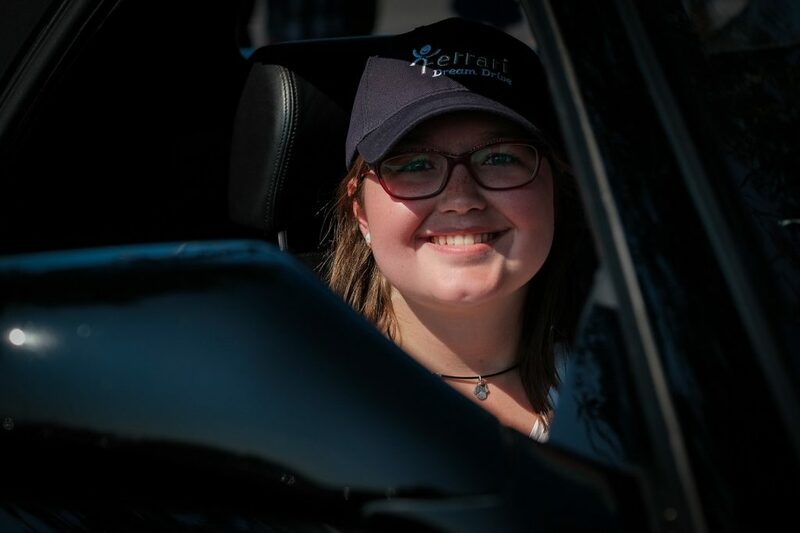 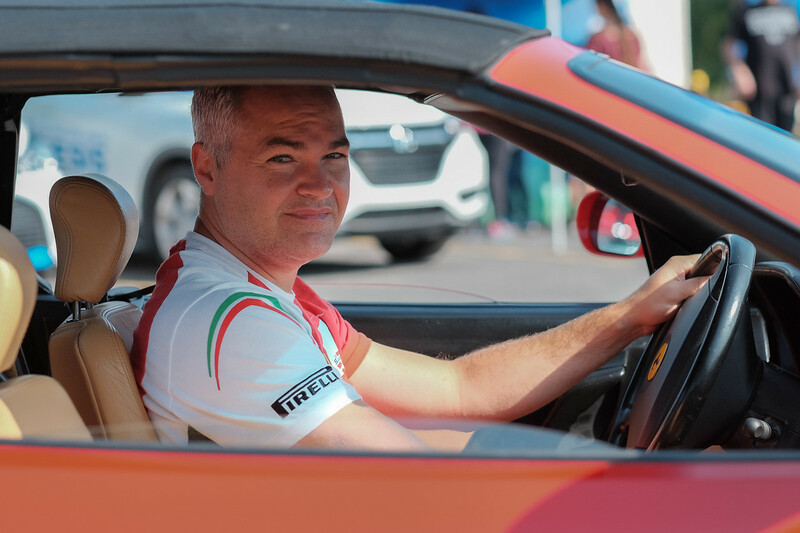 If you cannot attend the event or drive a car, but still want to make a donation to support the cause you can contribute using the form in the Driver/Sponsor section. 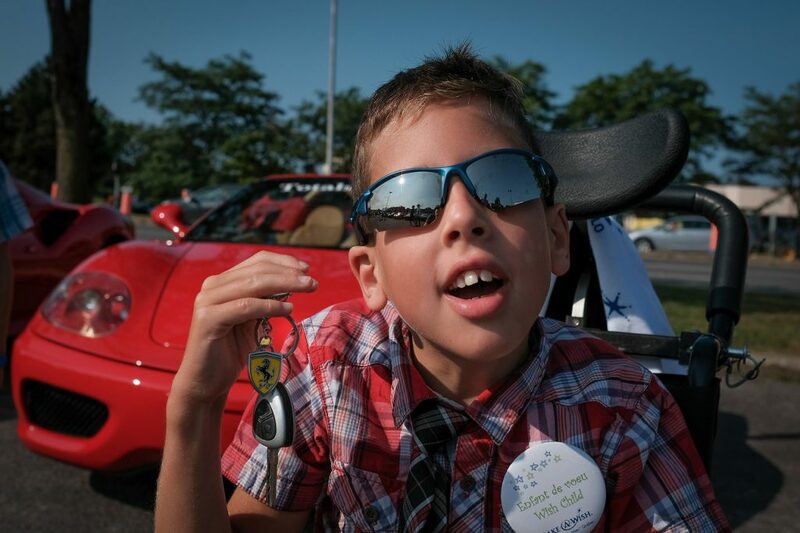 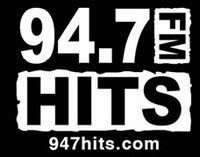 Every donation helps tremendously and is greatly appreciated!